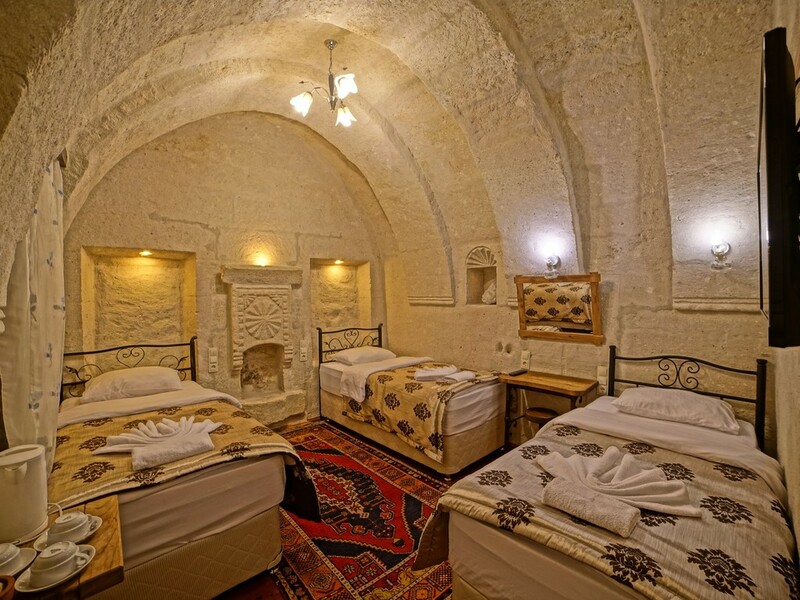 There are 4 bus companies that you can choose from, Nevtur, Goreme Tur, Kapadokya and Metro Tourism. 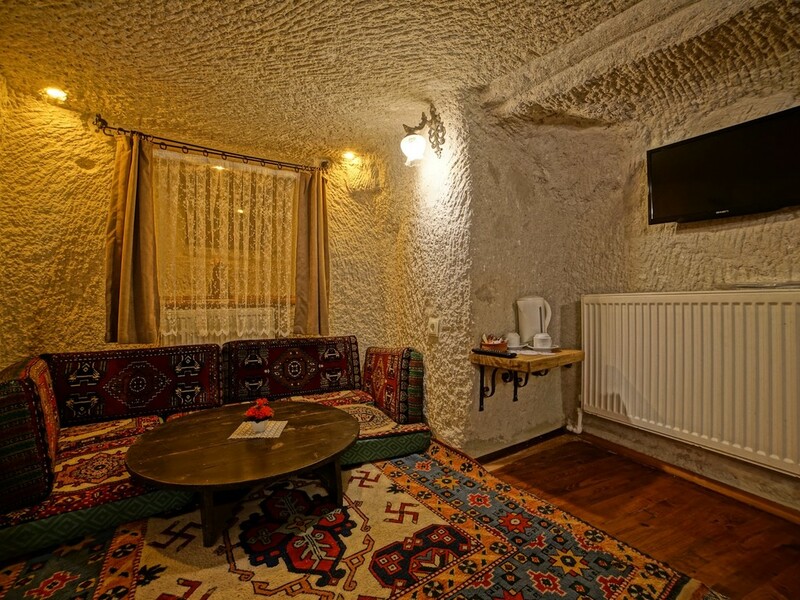 All of them have bus services to Goreme. 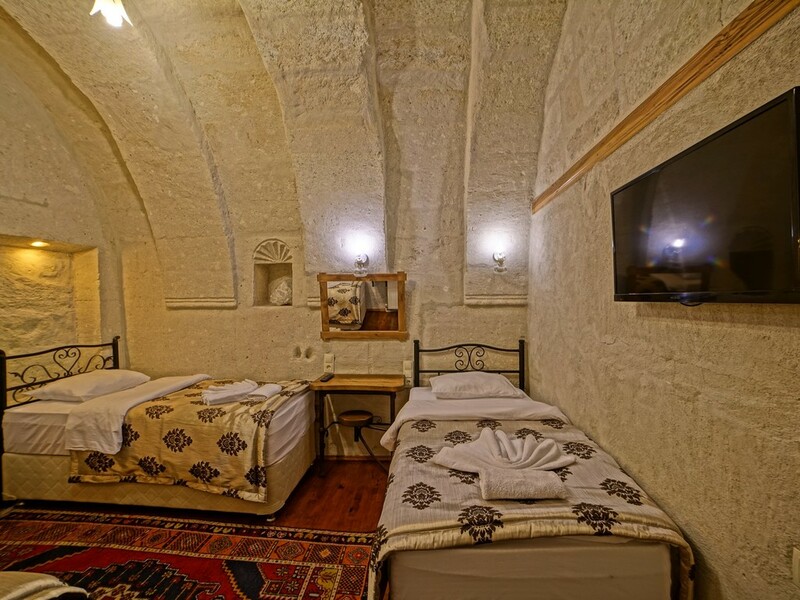 (It takes about 10 hours from Istanbul to Goreme)If you inform us by our contact form or email about your arrival we will pick you up from Goreme Bus Station. 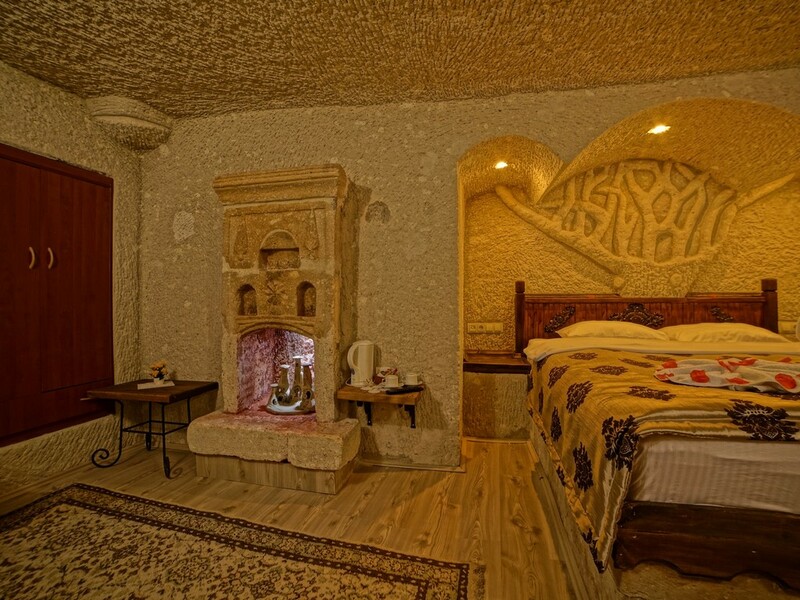 Antalya to Goreme: Antalya, Akseki, Konya, Aksaray, Nevsehir, Uchisar, GoremeThe chart on the right, will give you an idea about the distances to Goreme. 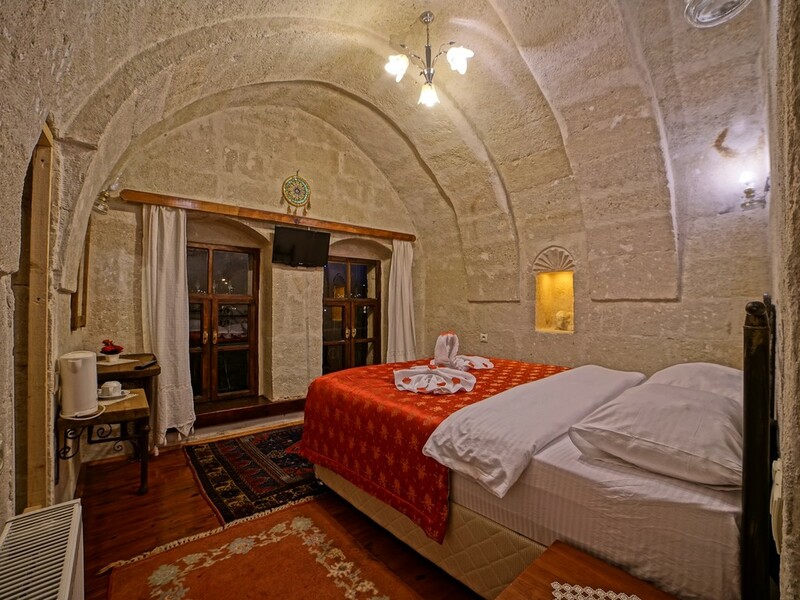 This spacious arched stone room stays cool during summer and warm during winter. 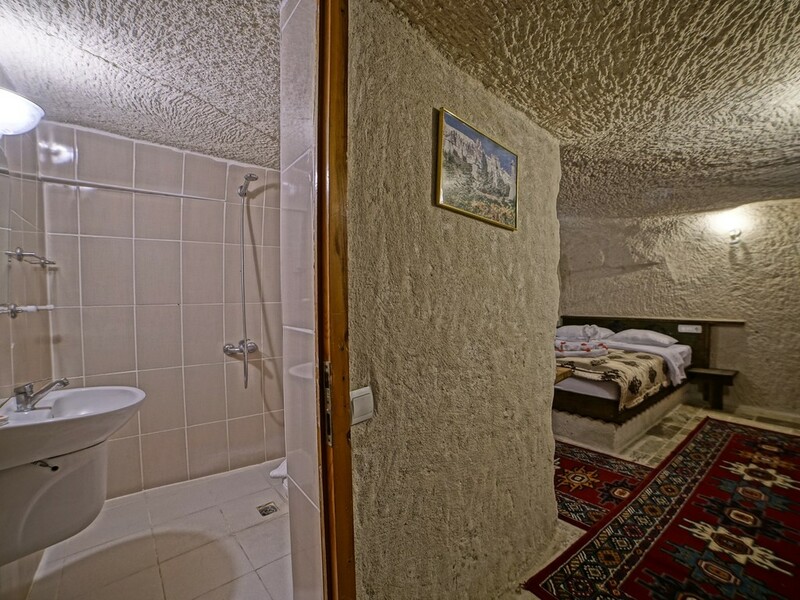 This room is smaller than the others. 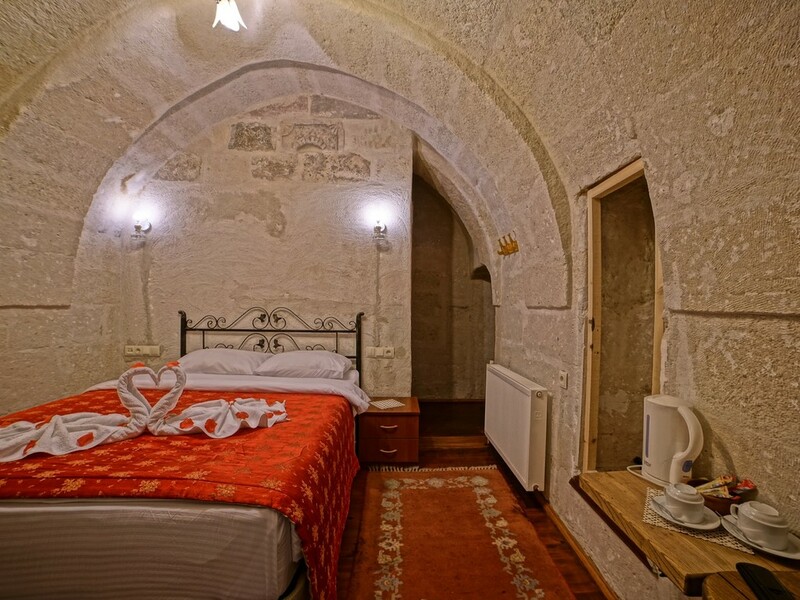 Traditional room with stone walls which keep the room warm during winter and cool during summer. 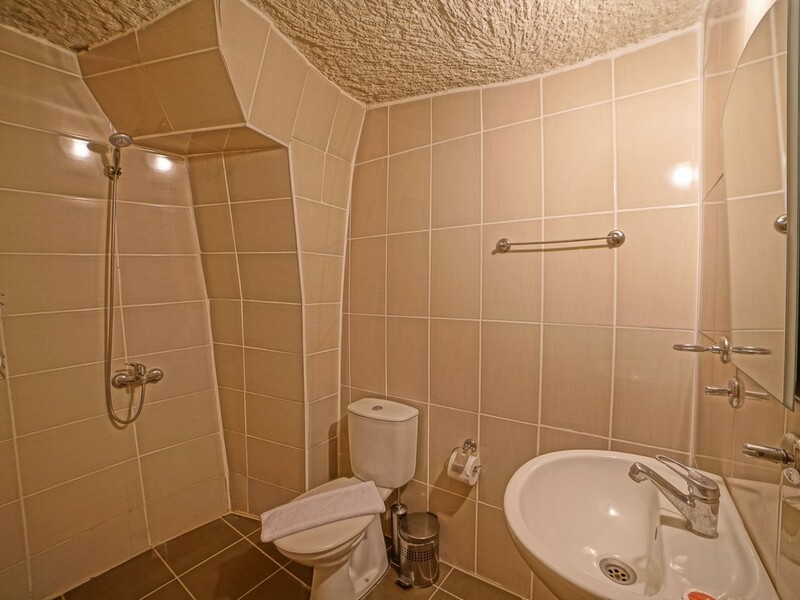 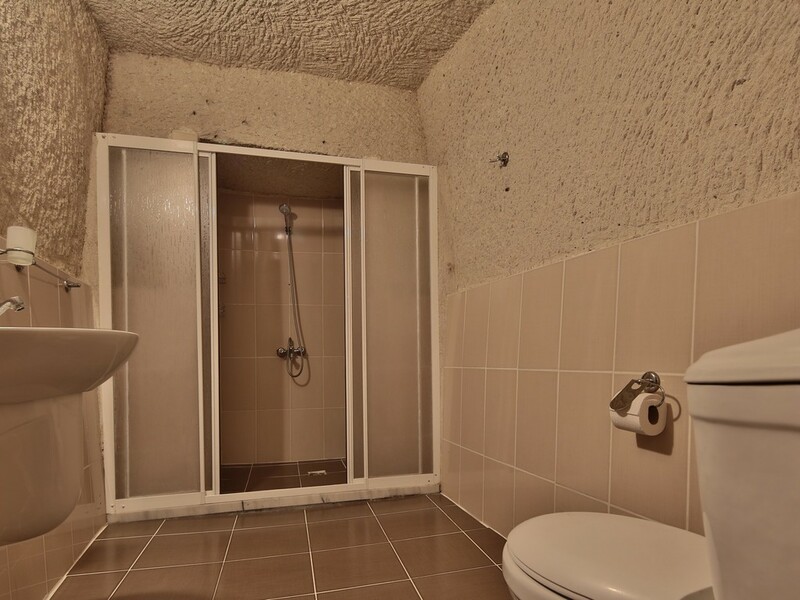 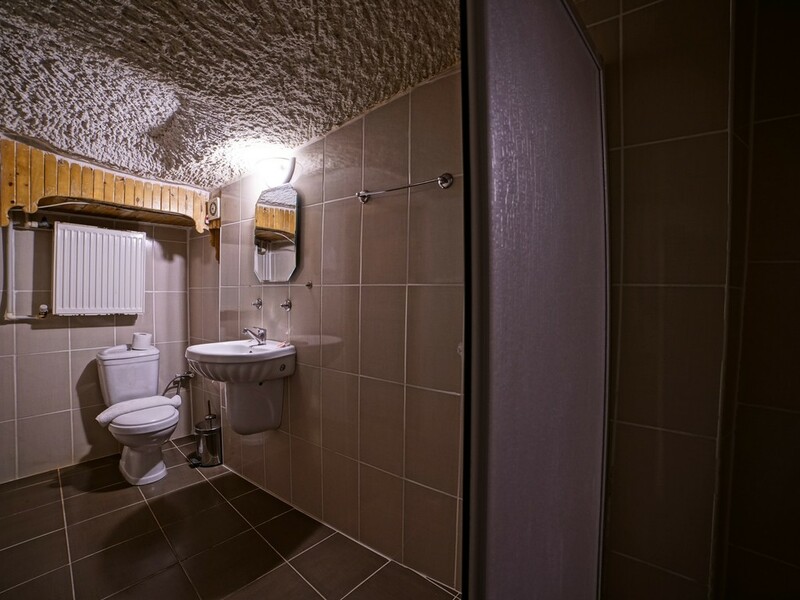 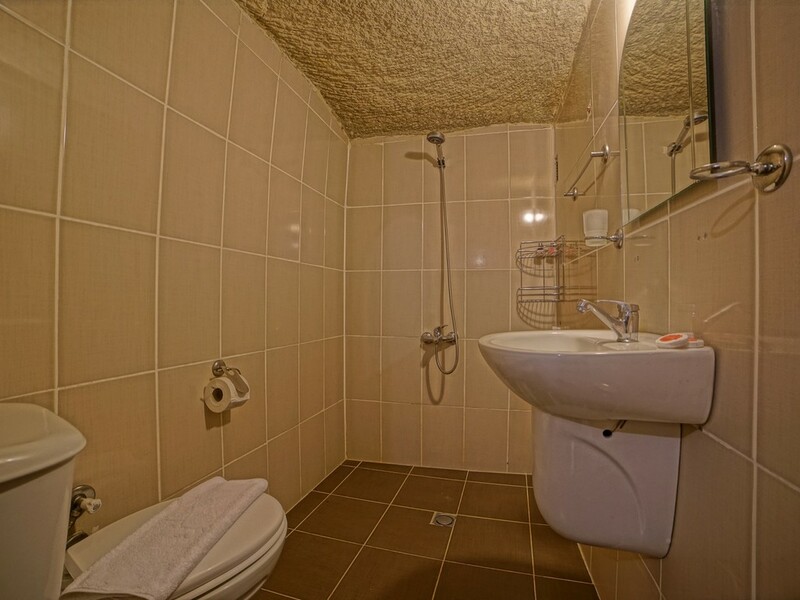 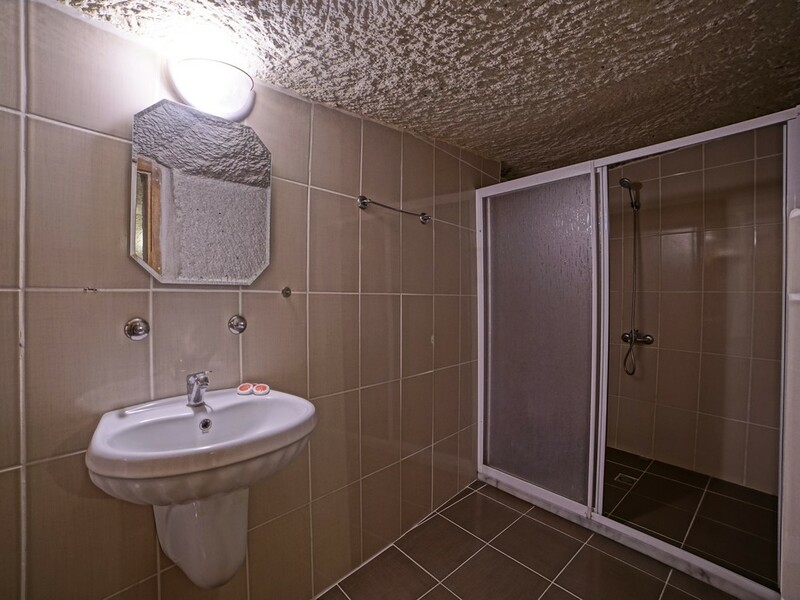 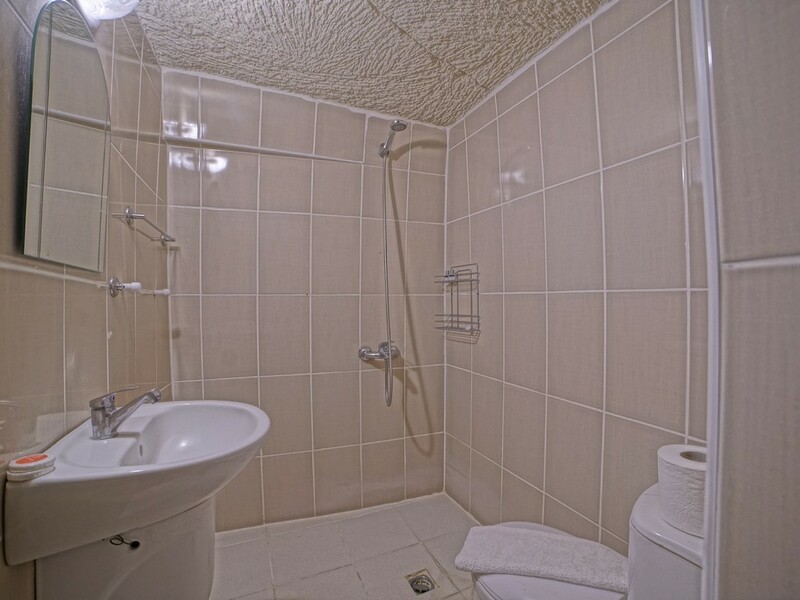 It includes a spacious private bathroom. 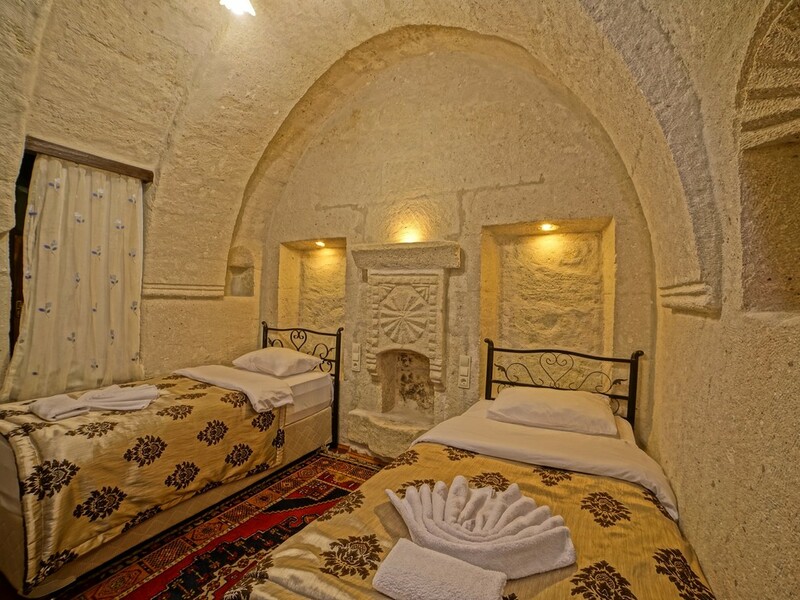 Size(s): 2 twin, 1 full. 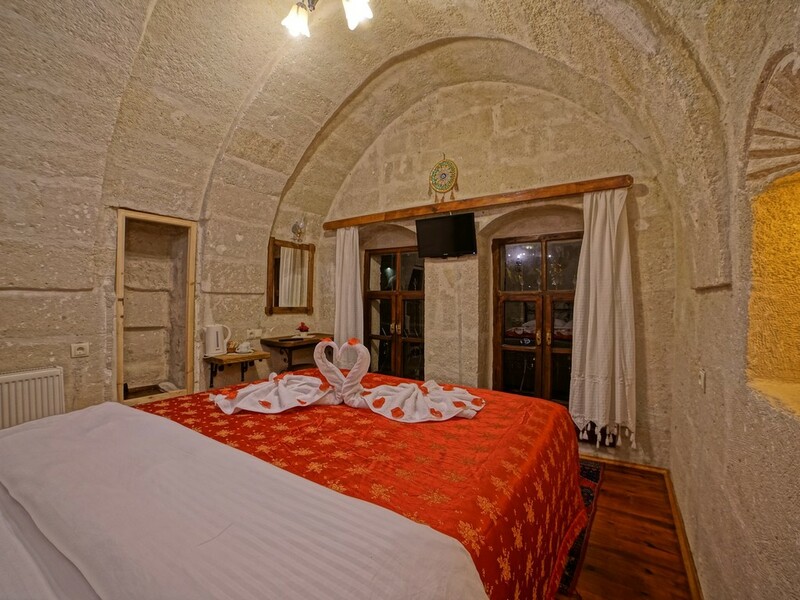 Arched stone room offers mountain views. 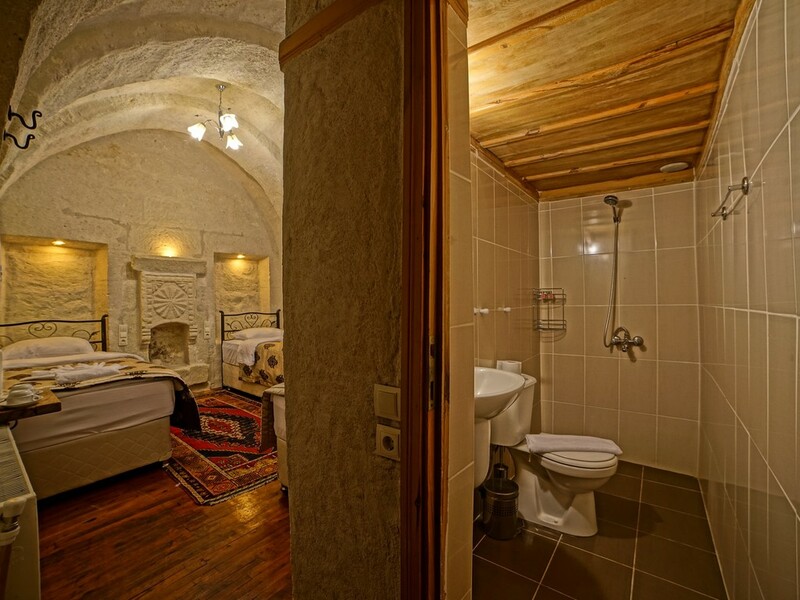 Traditional room with stone walls. 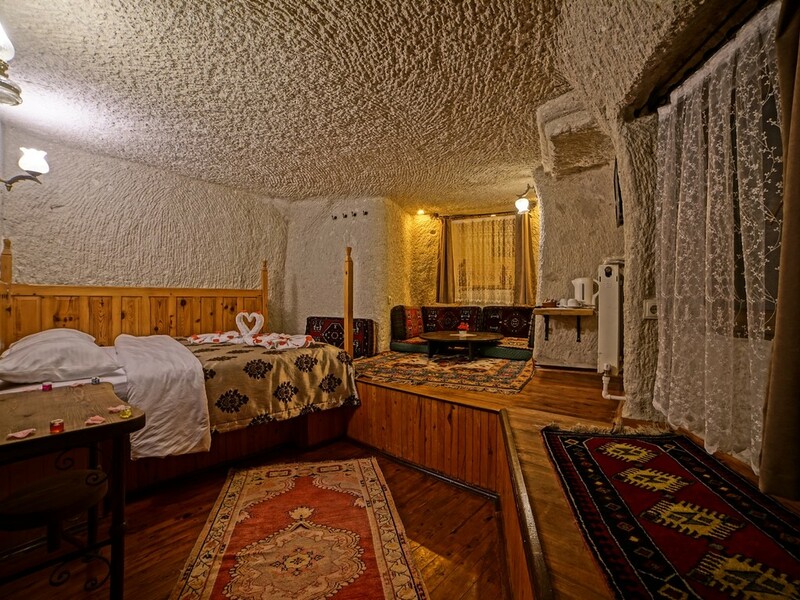 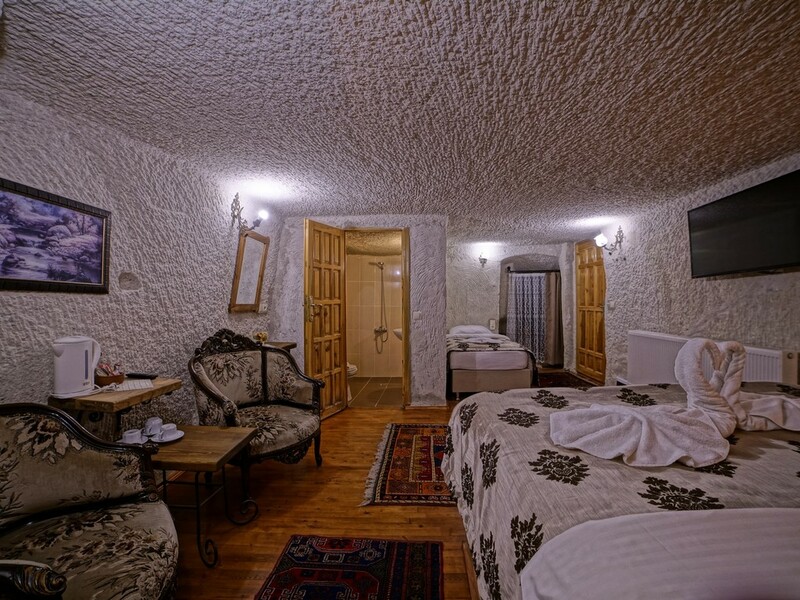 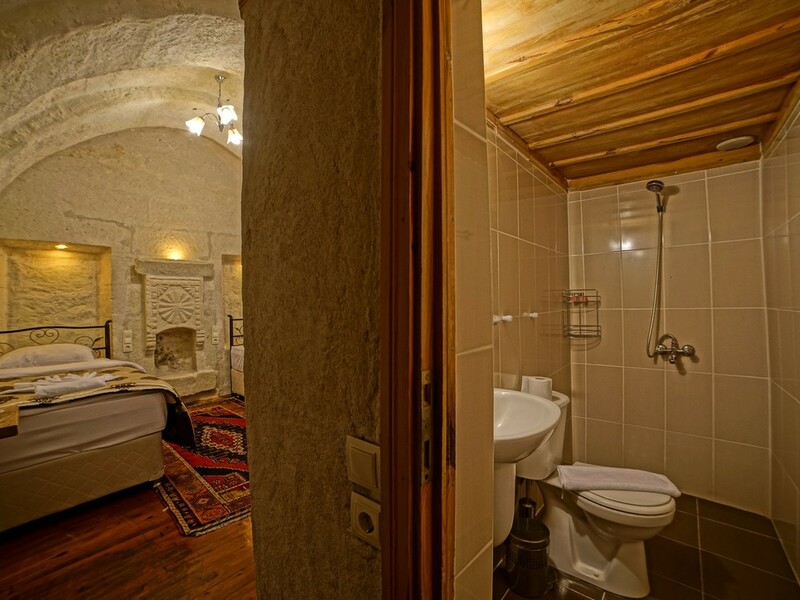 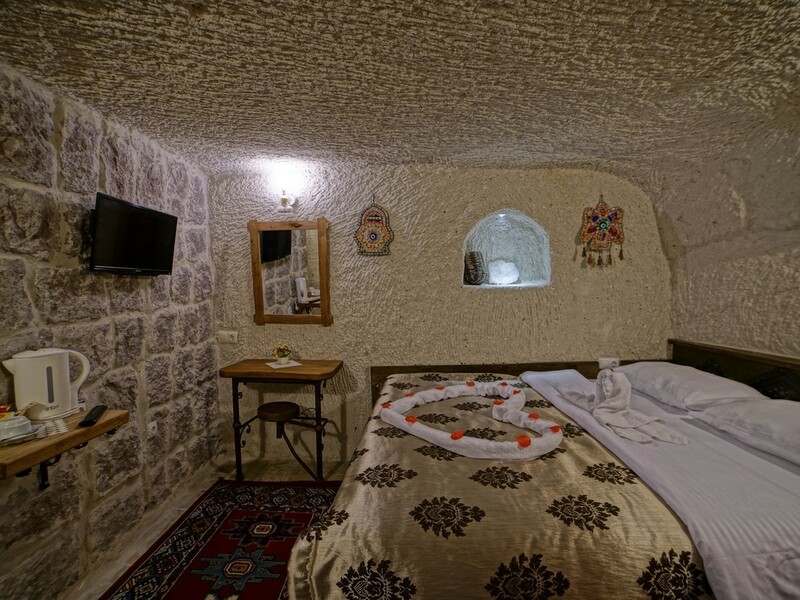 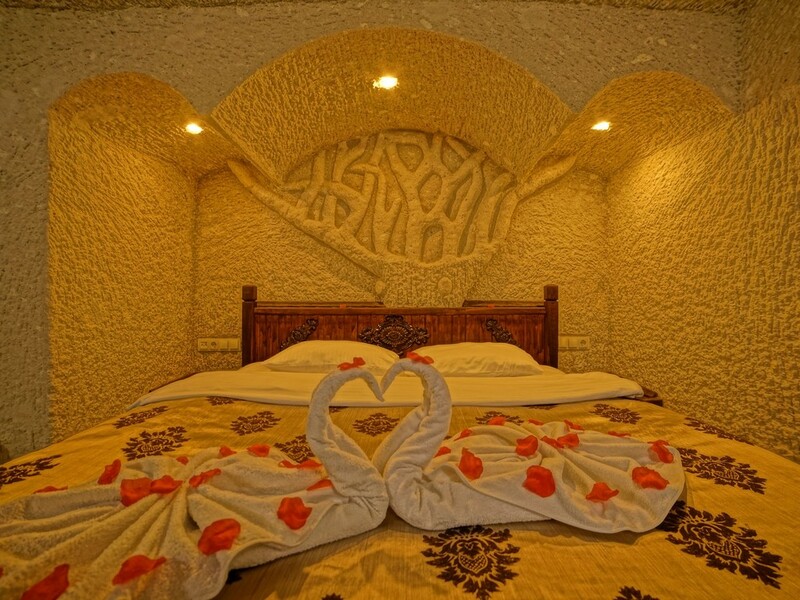 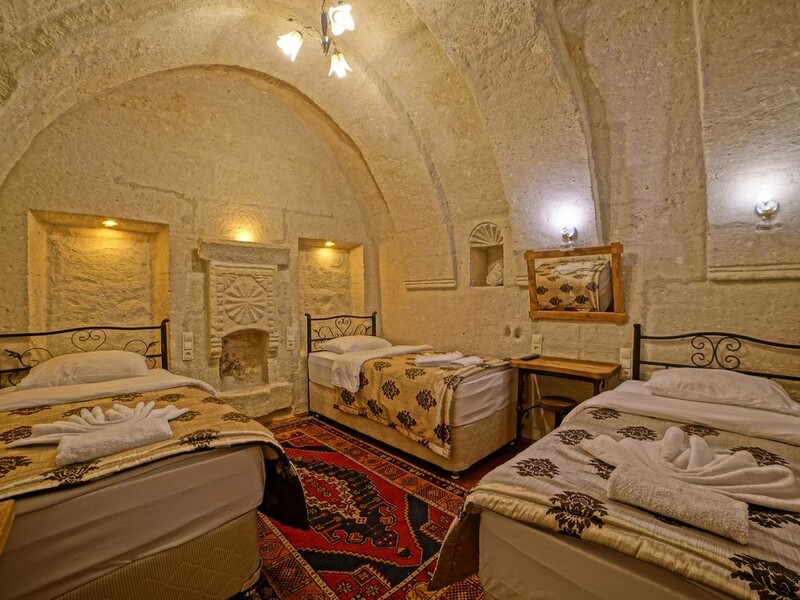 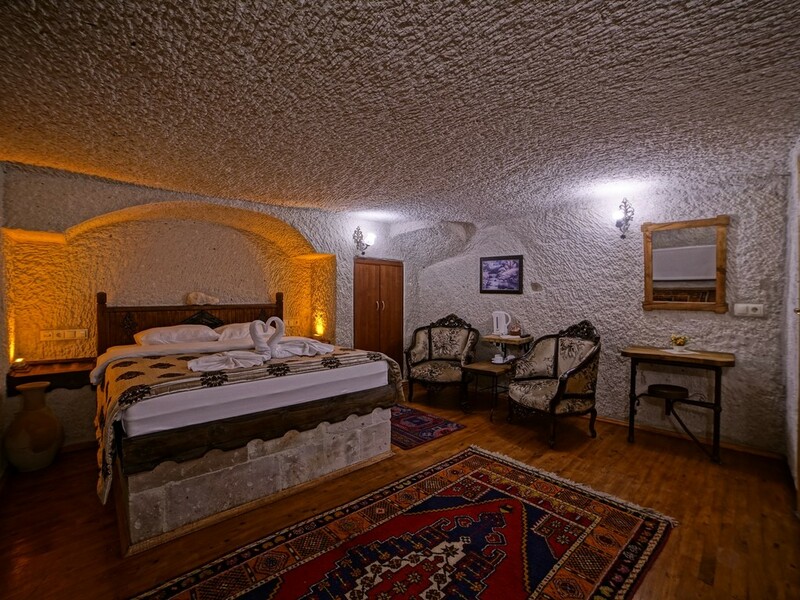 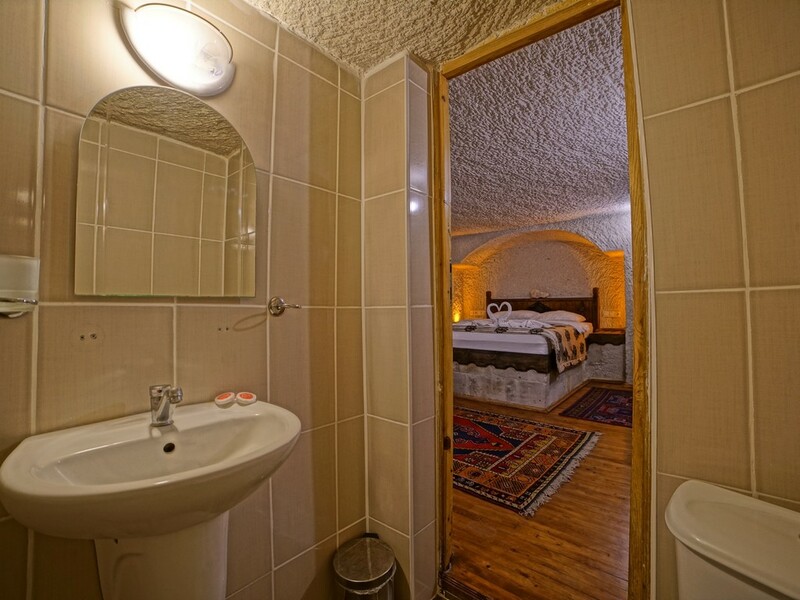 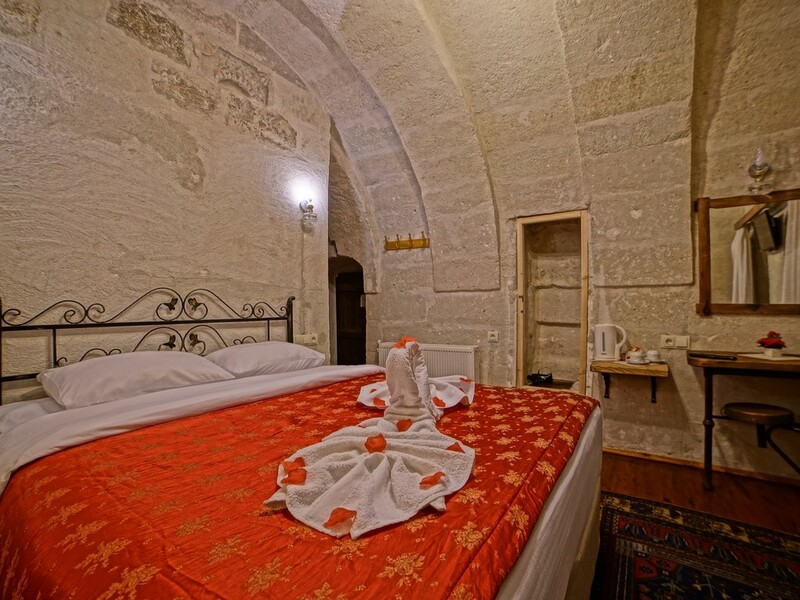 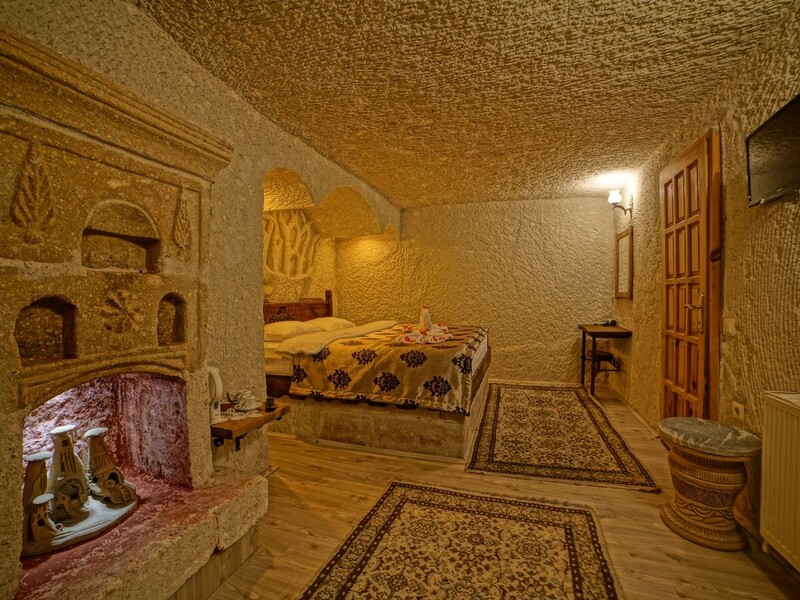 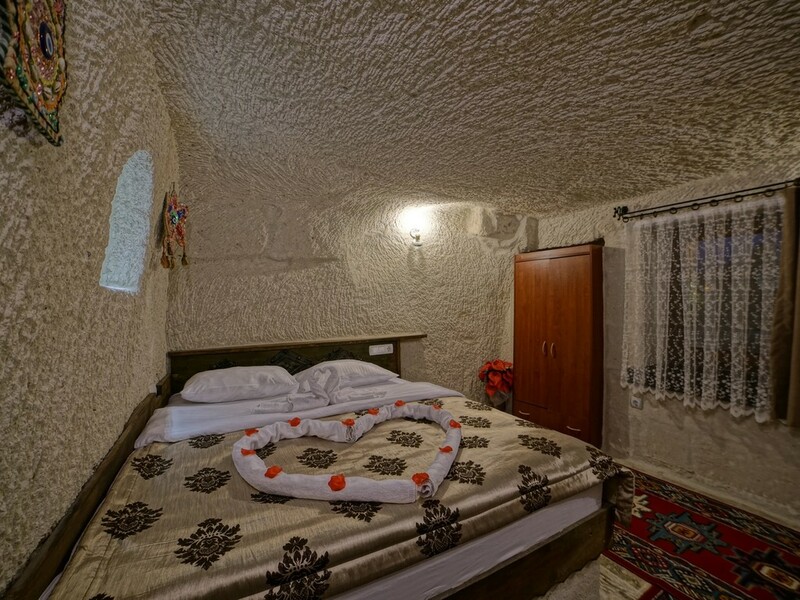 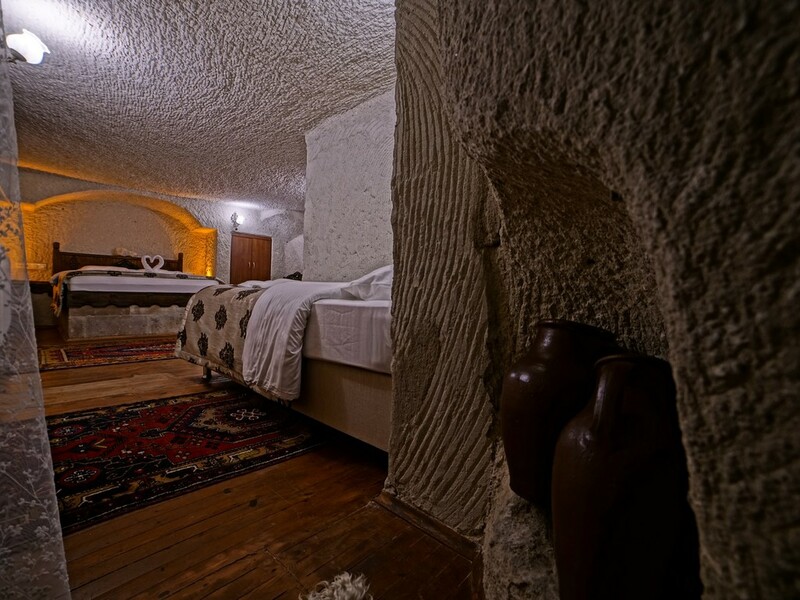 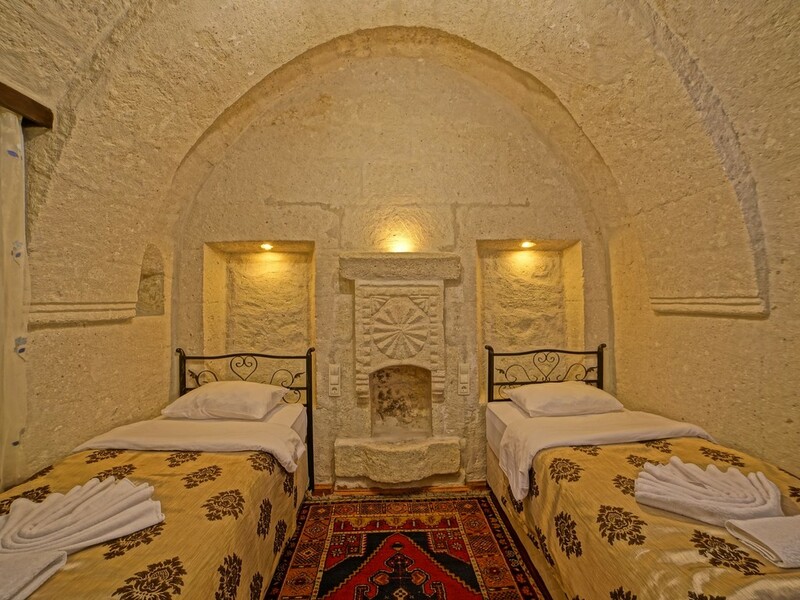 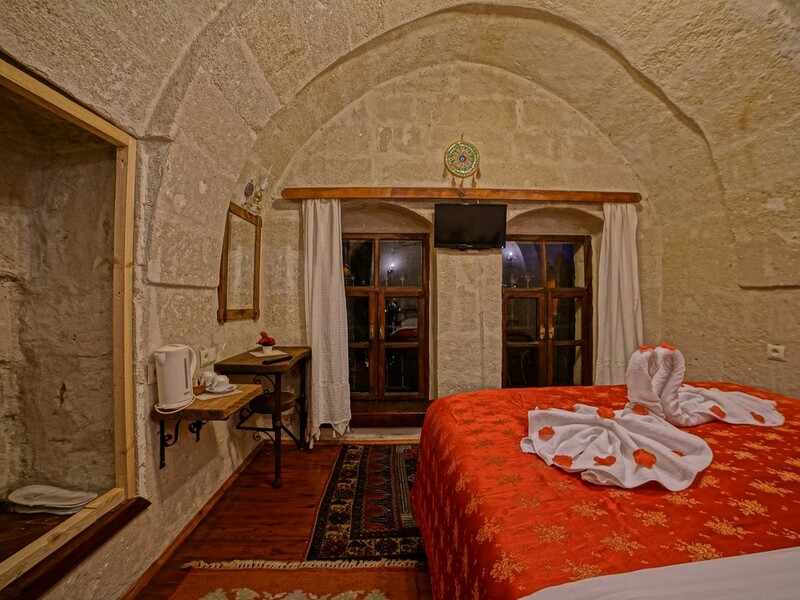 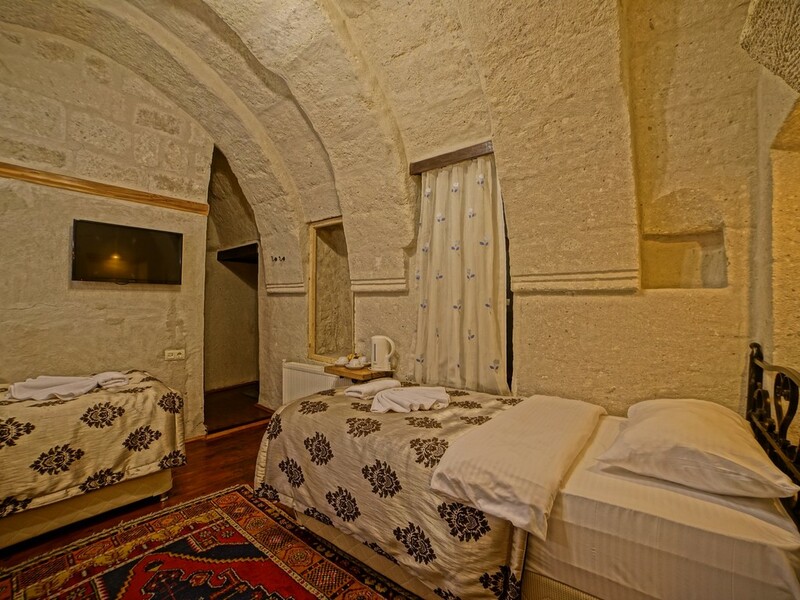 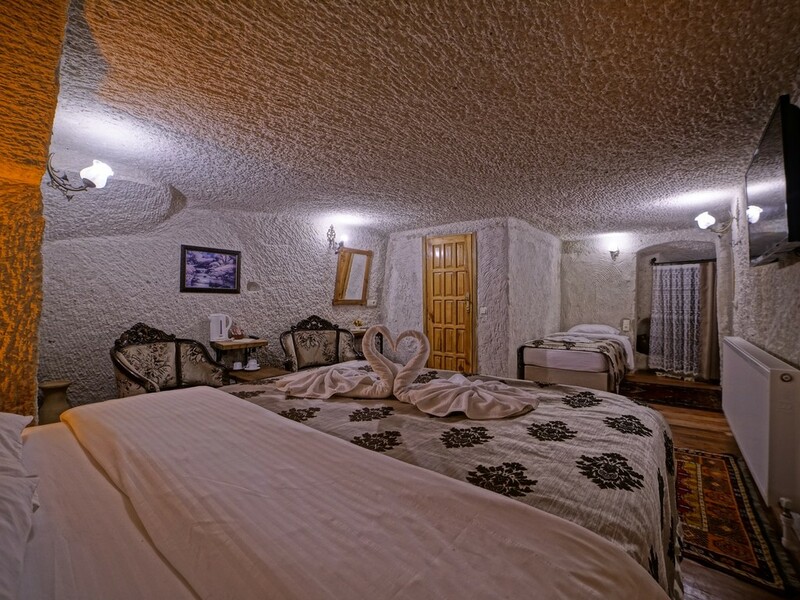 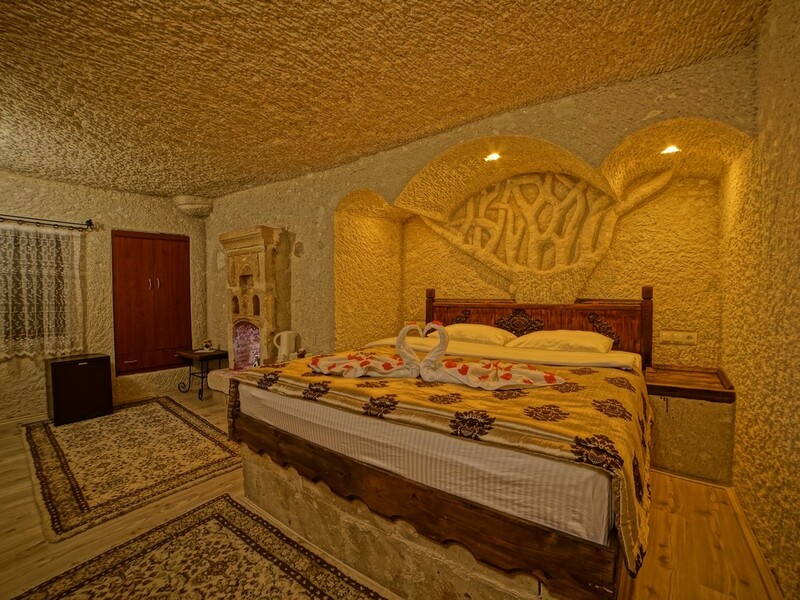 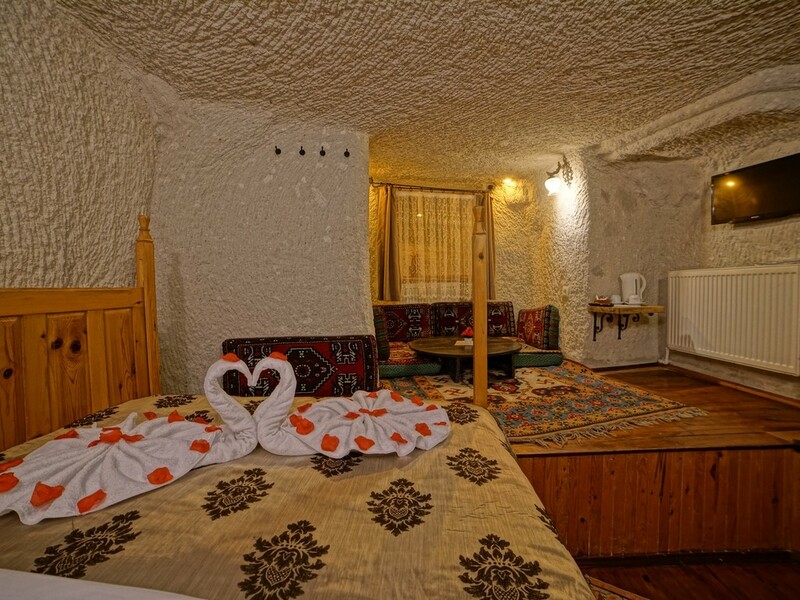 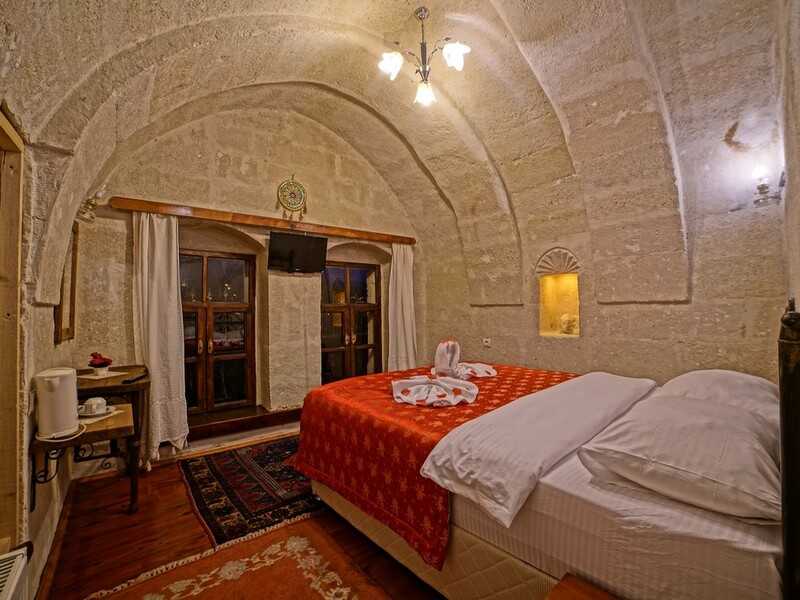 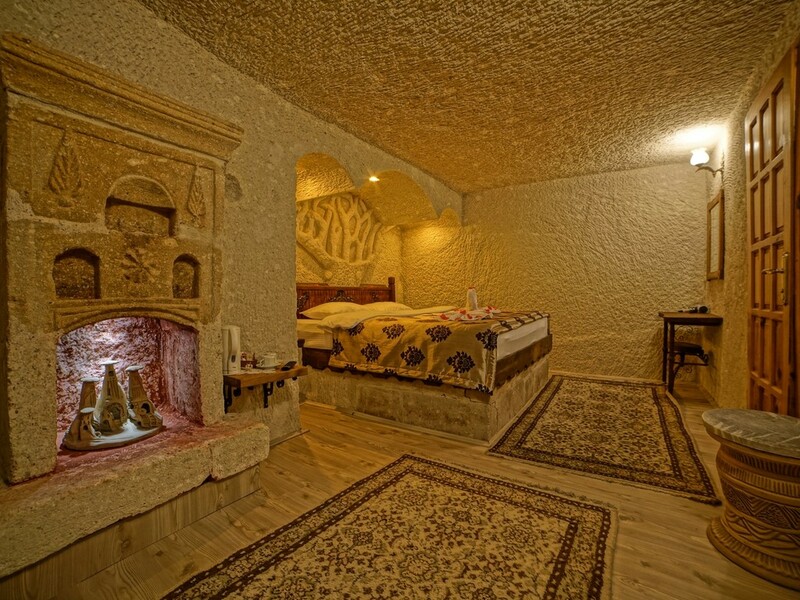 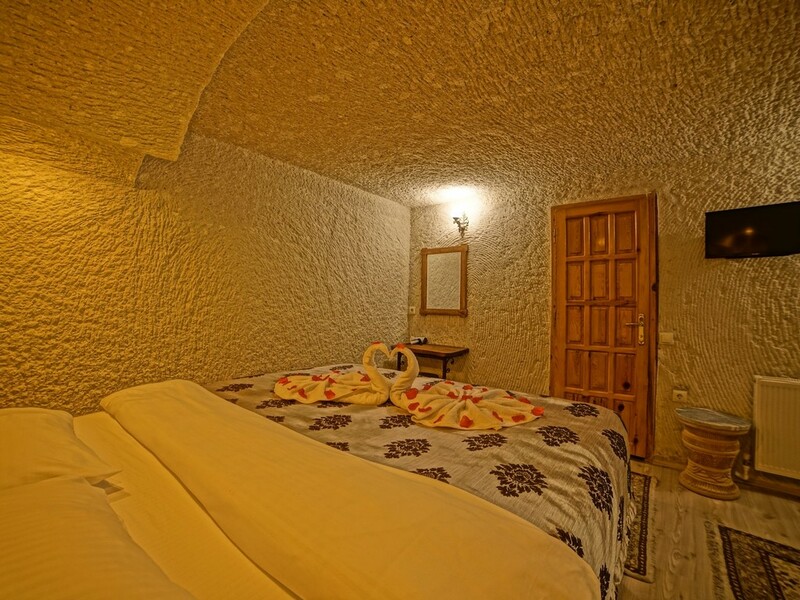 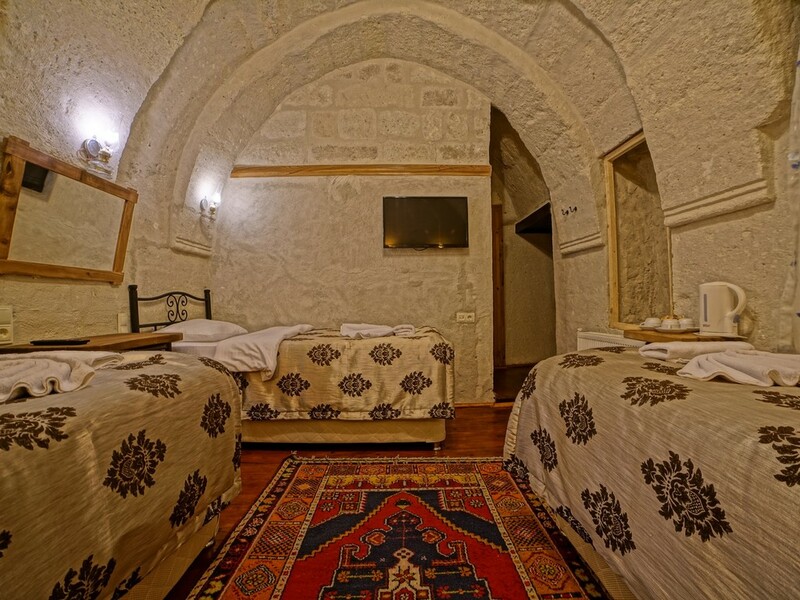 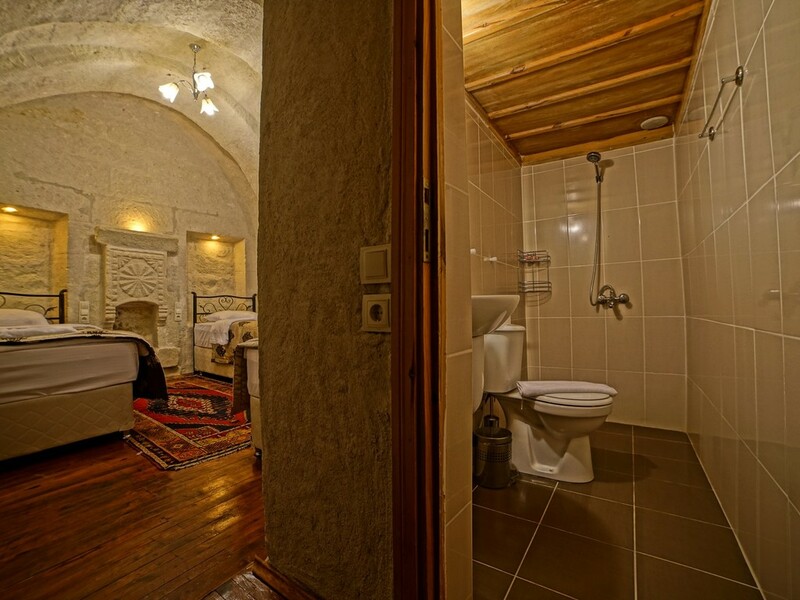 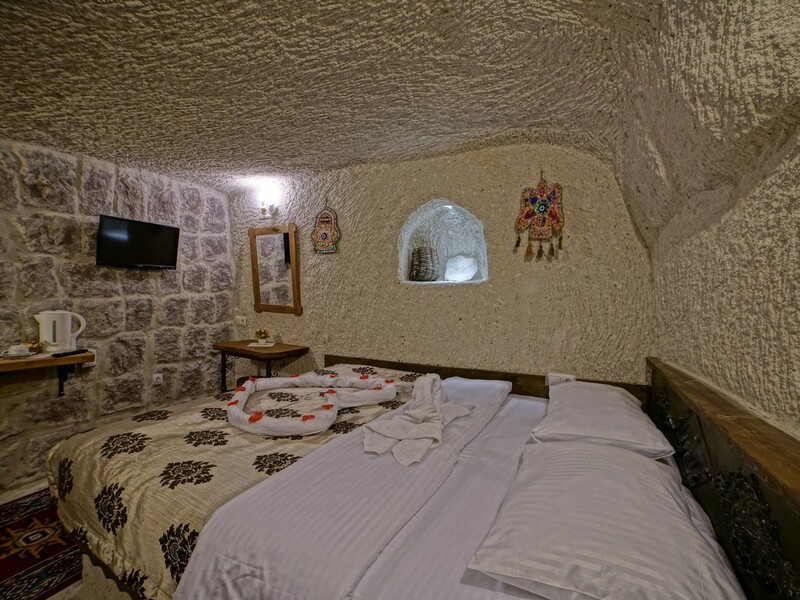 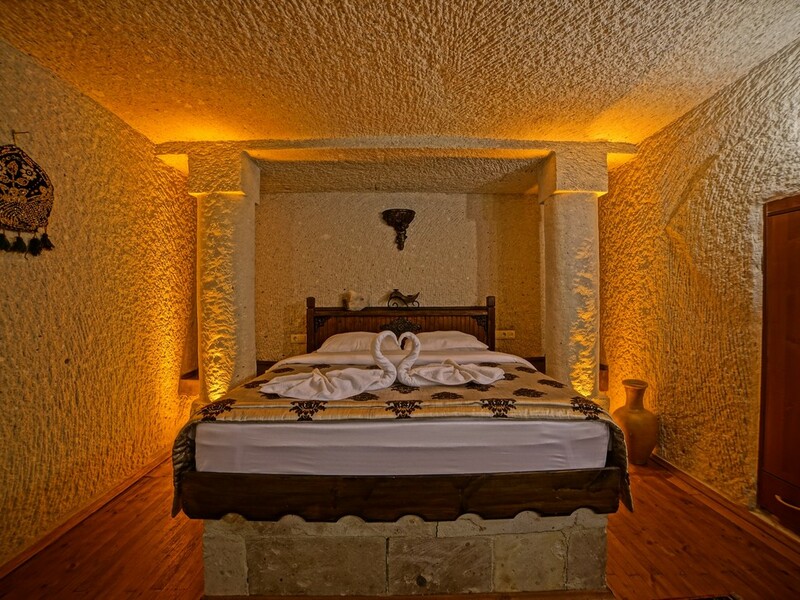 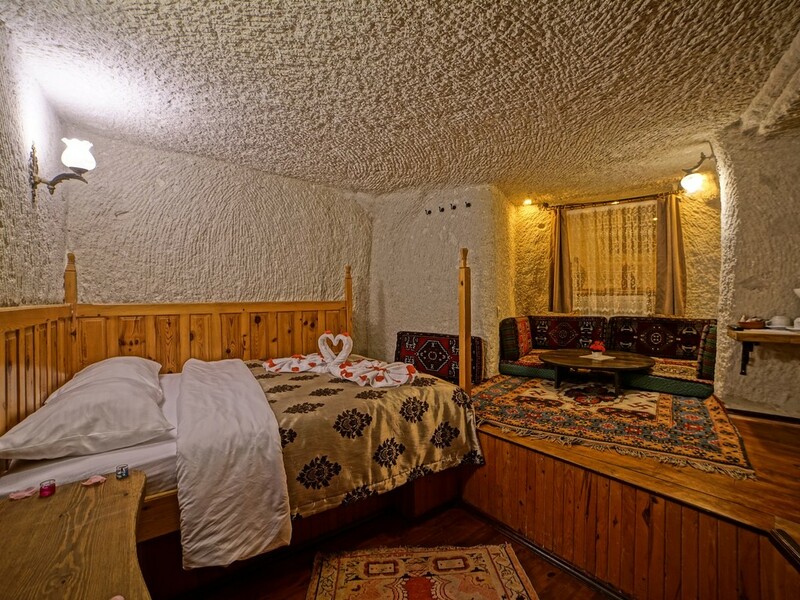 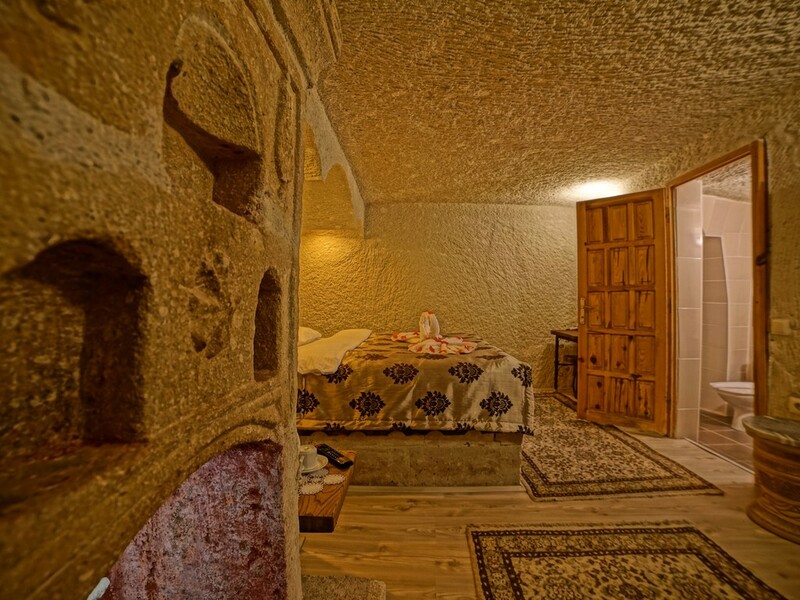 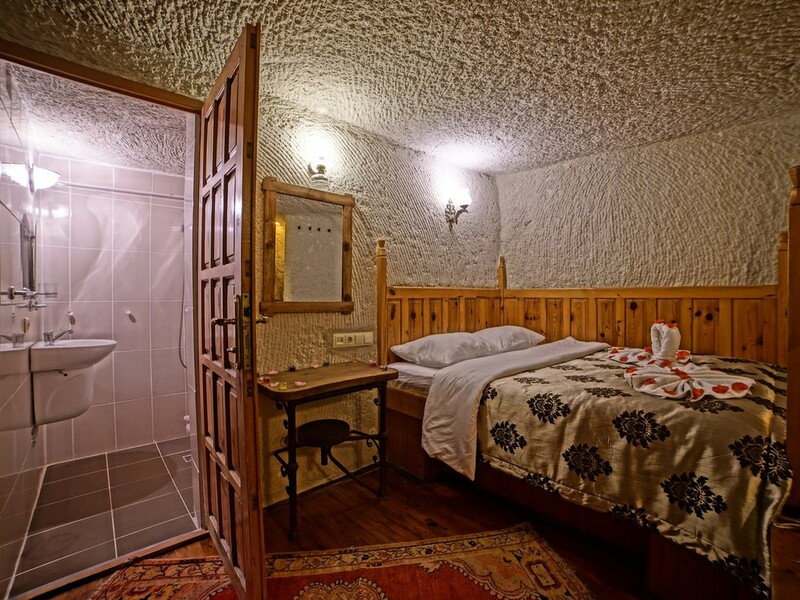 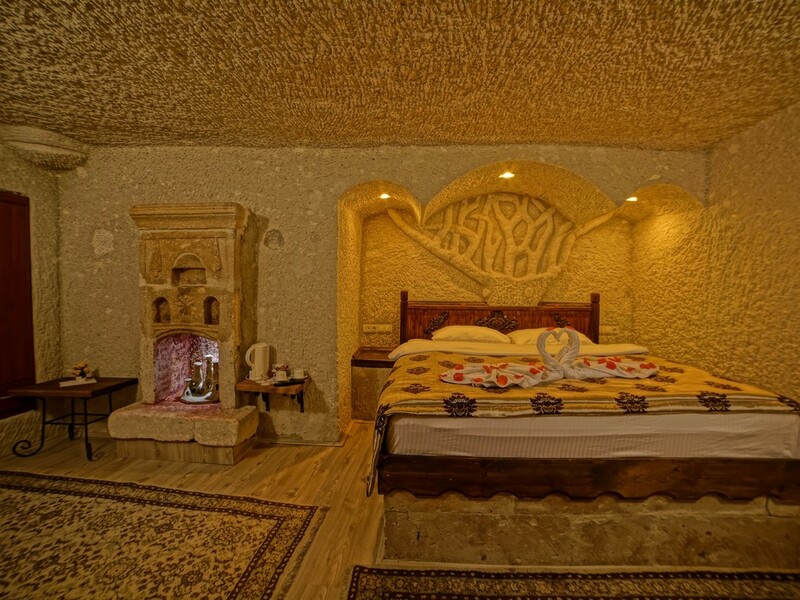 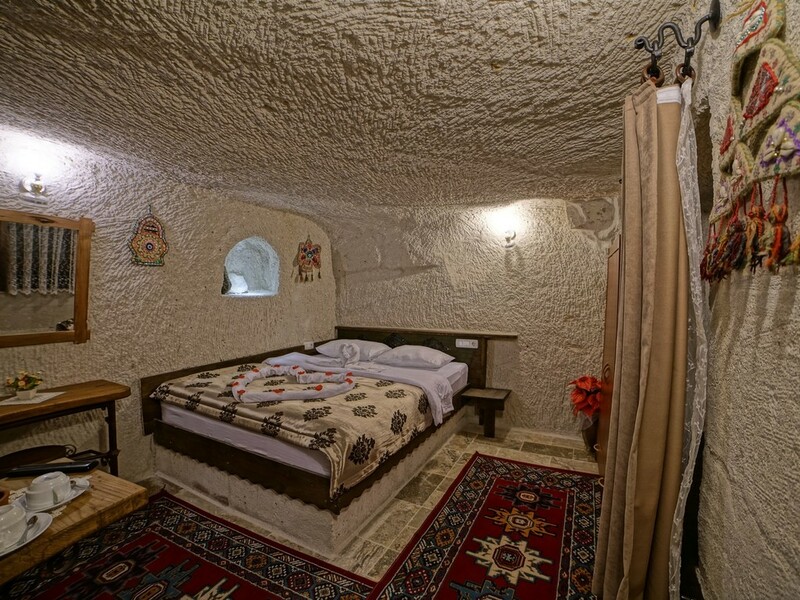 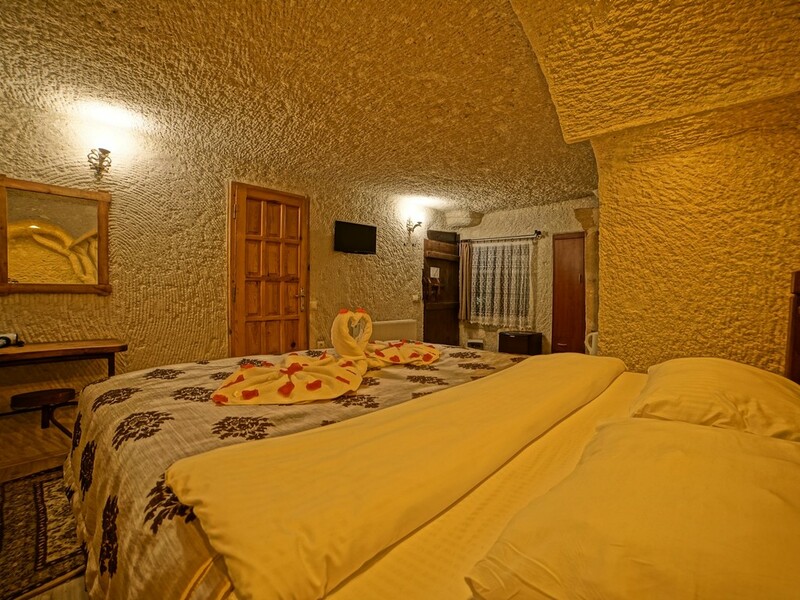 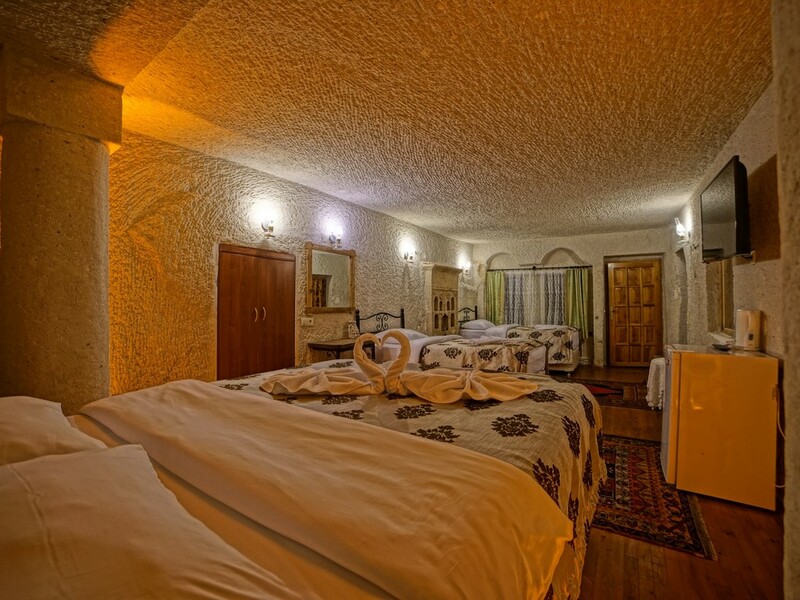 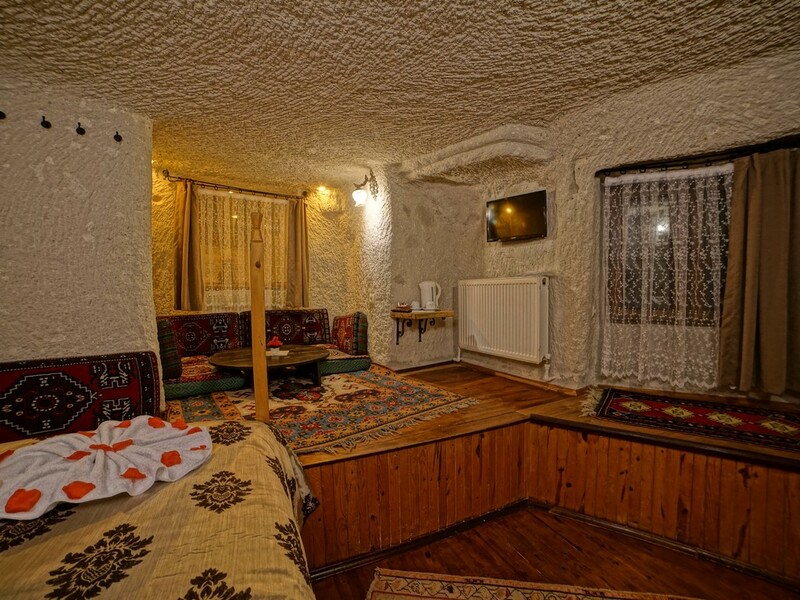 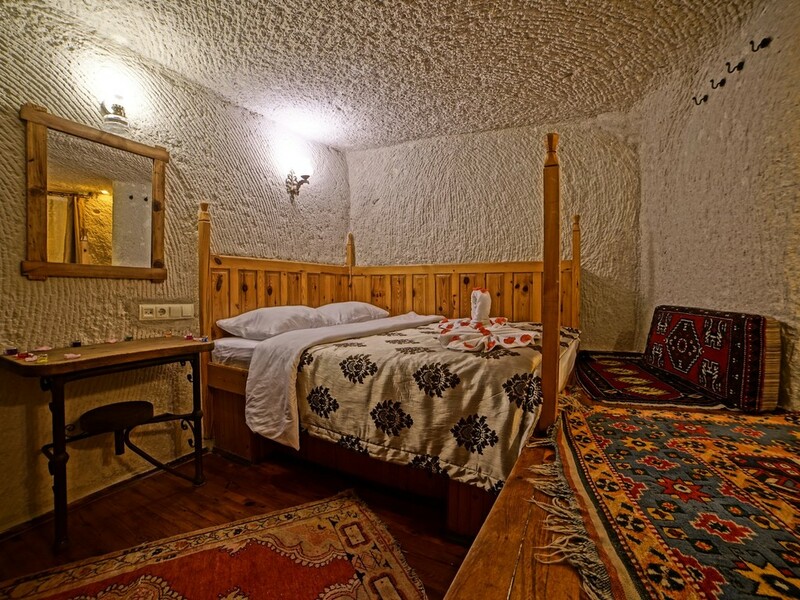 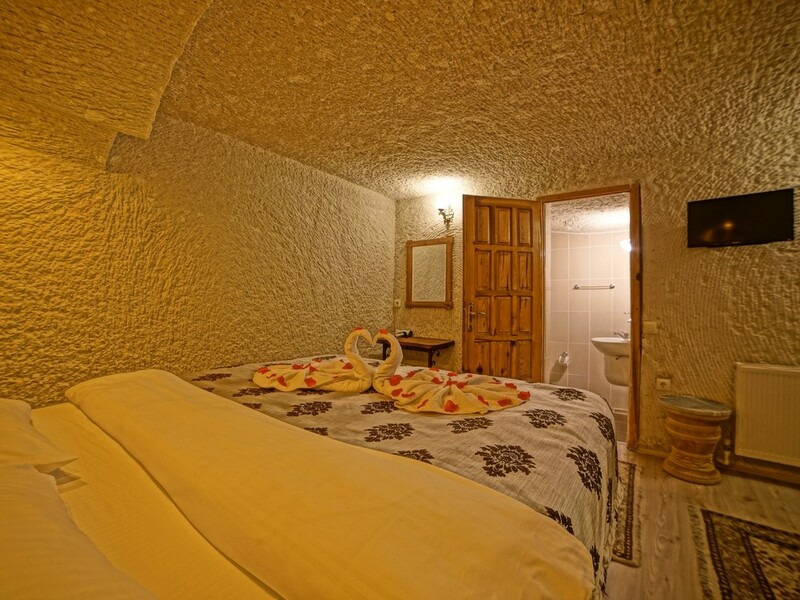 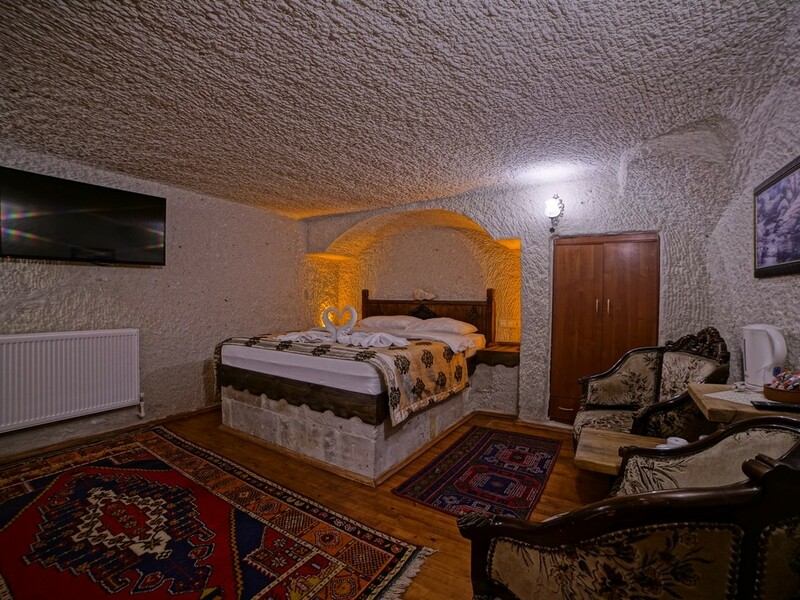 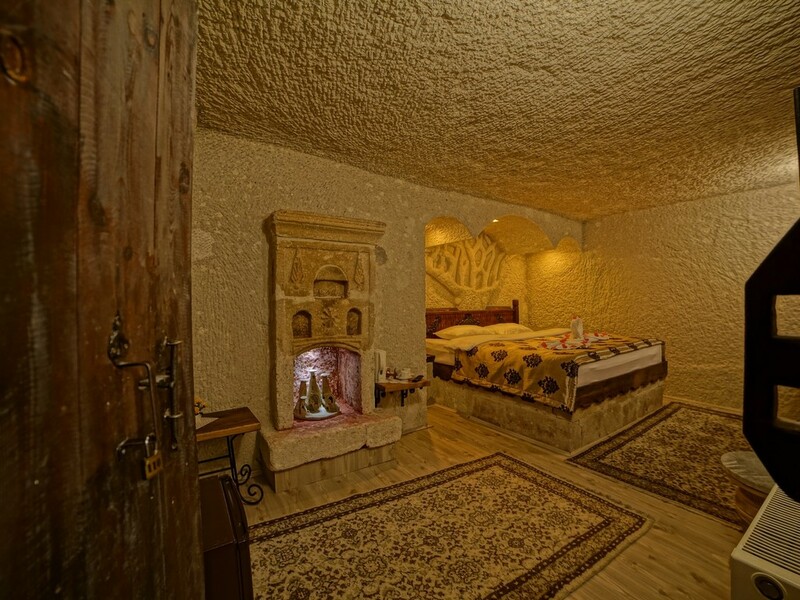 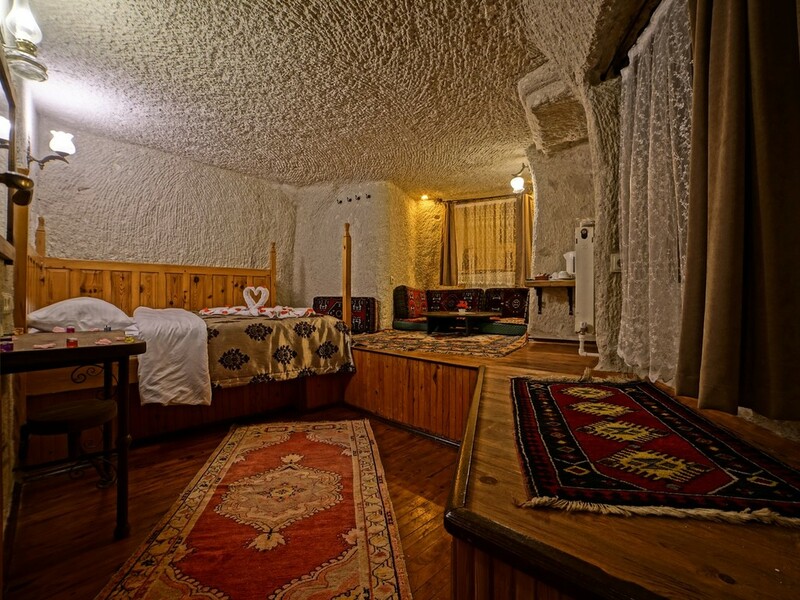 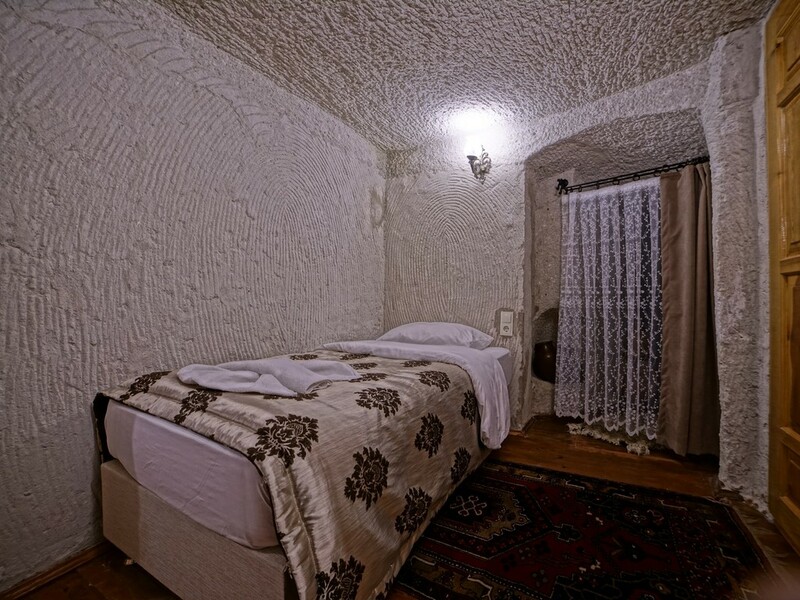 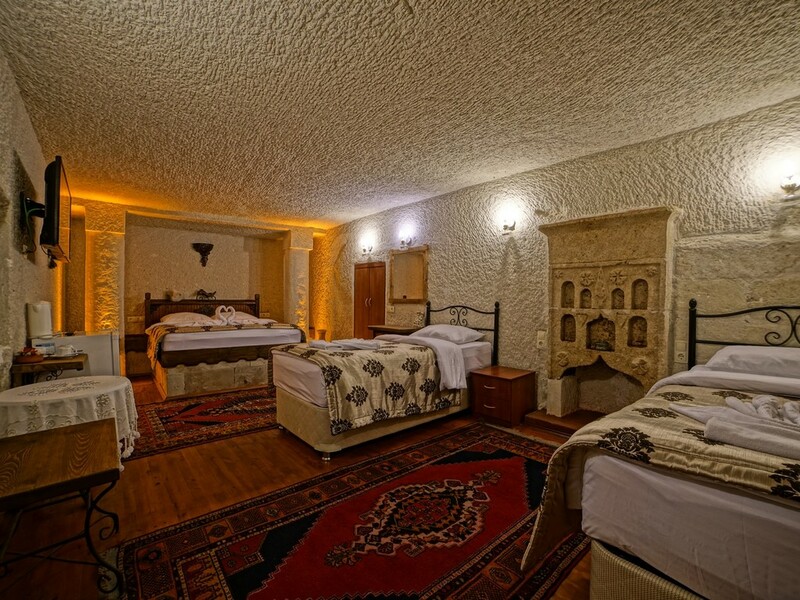 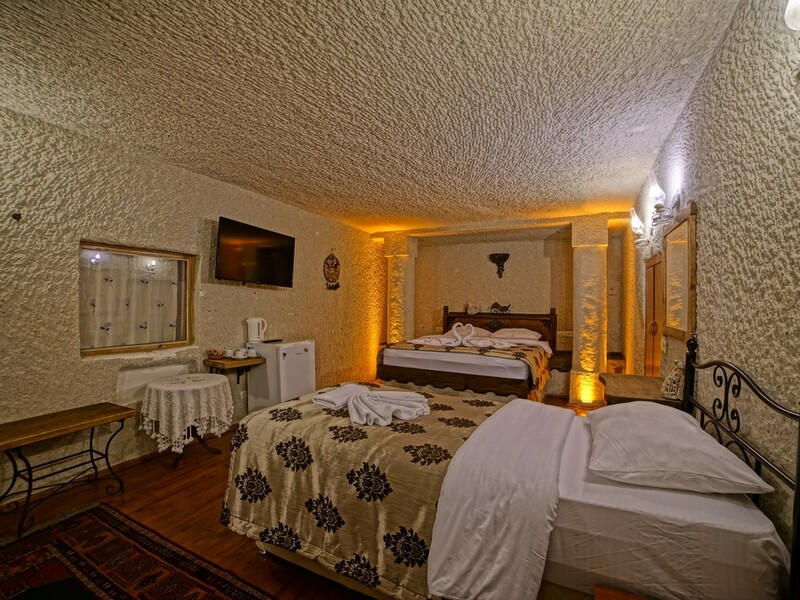 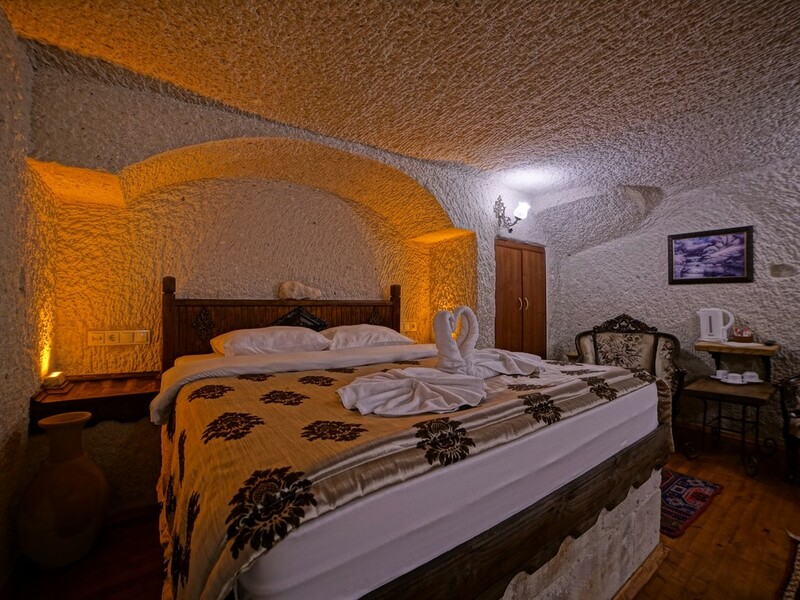 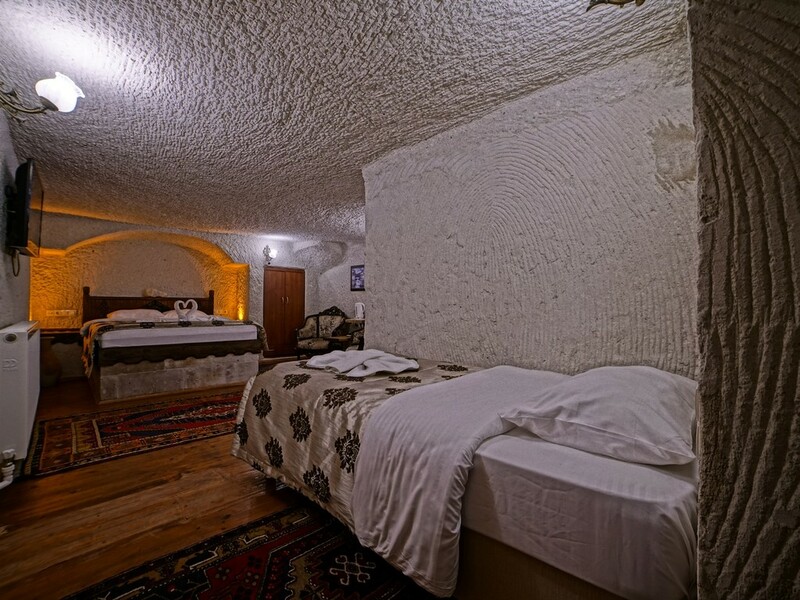 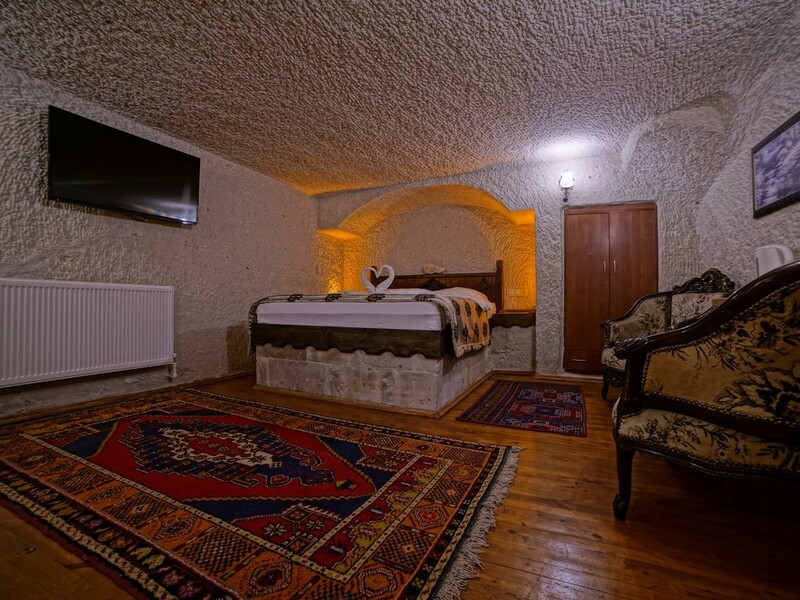 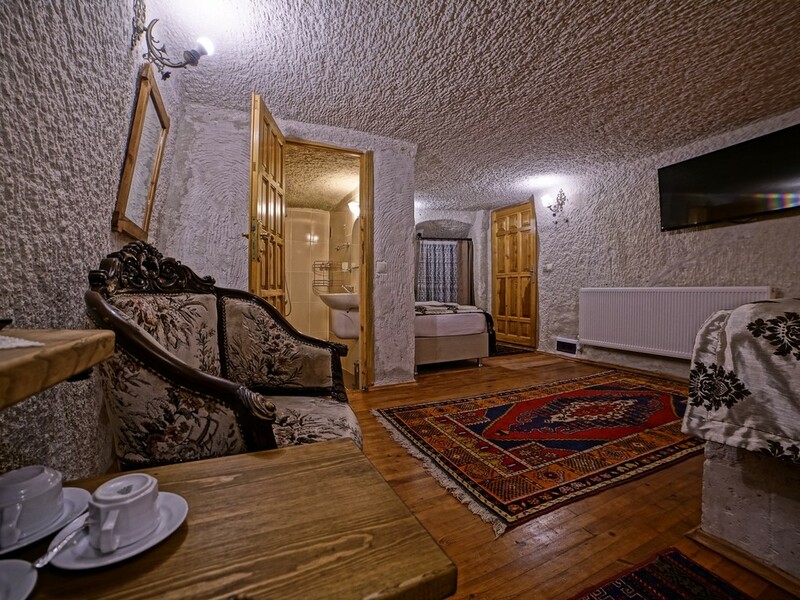 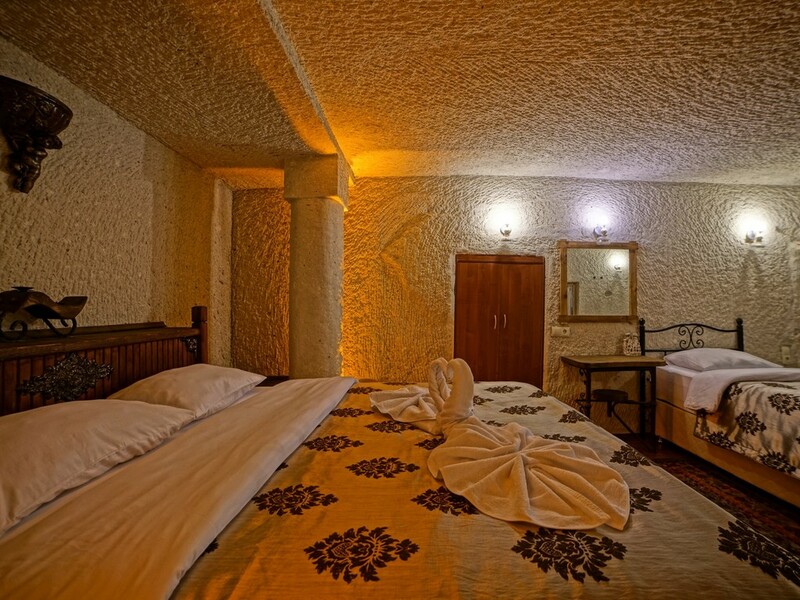 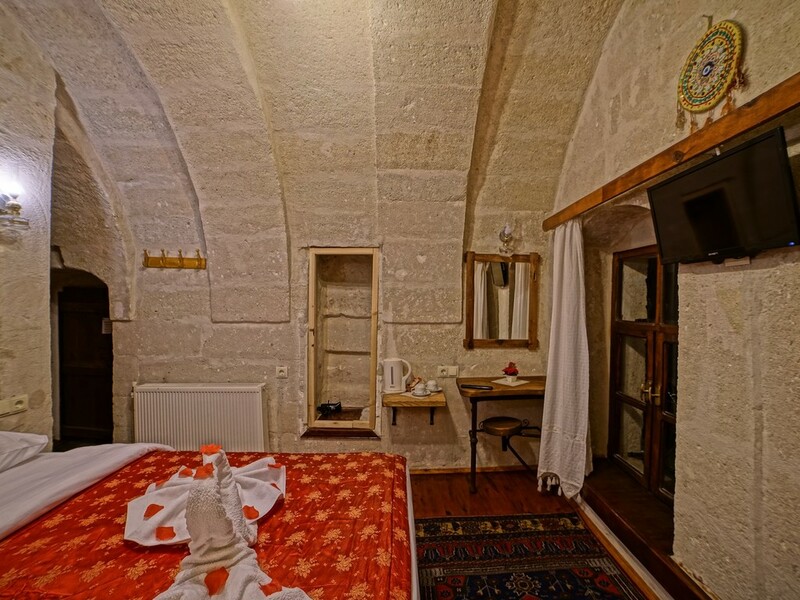 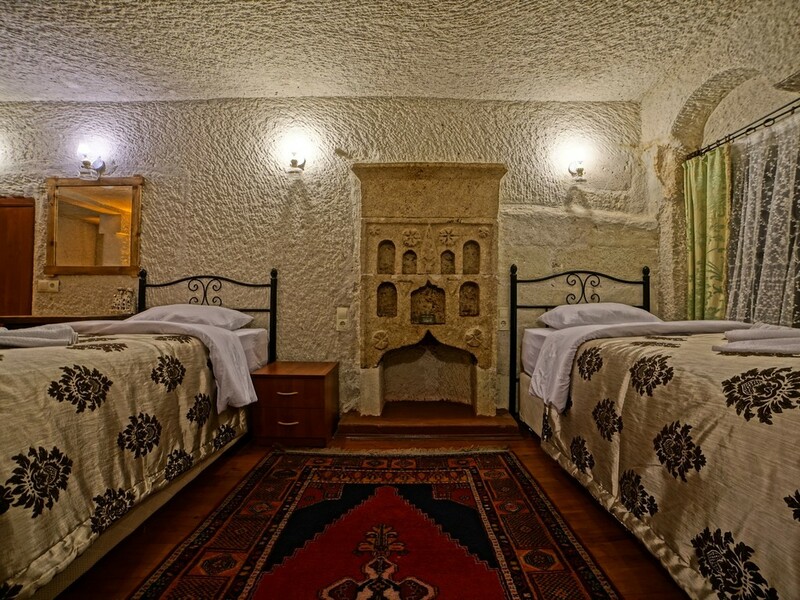 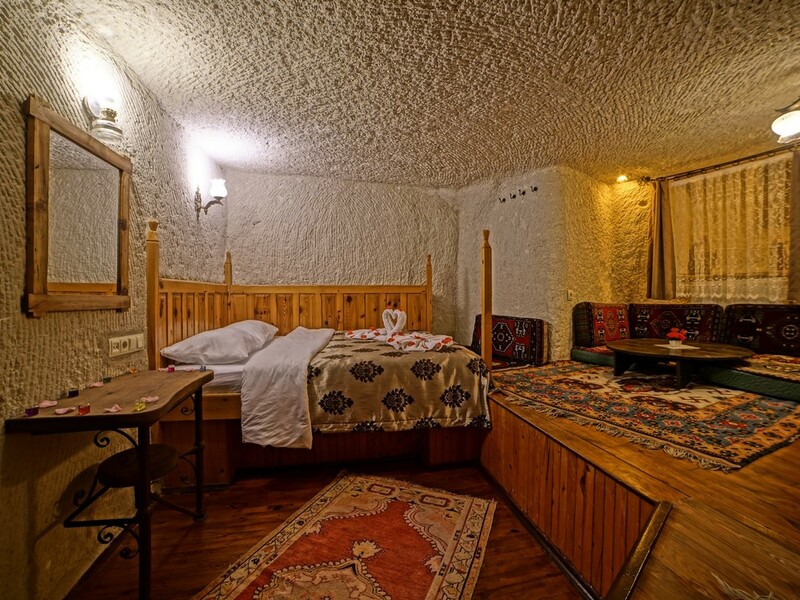 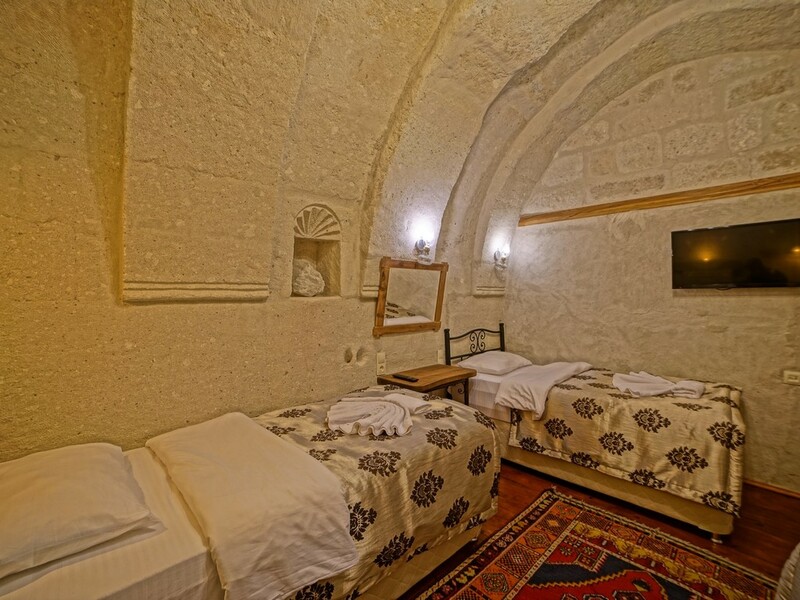 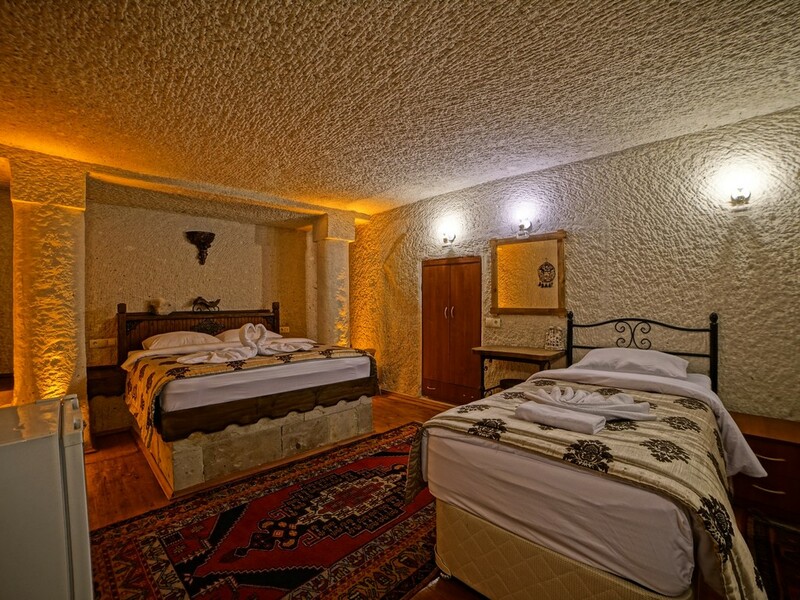 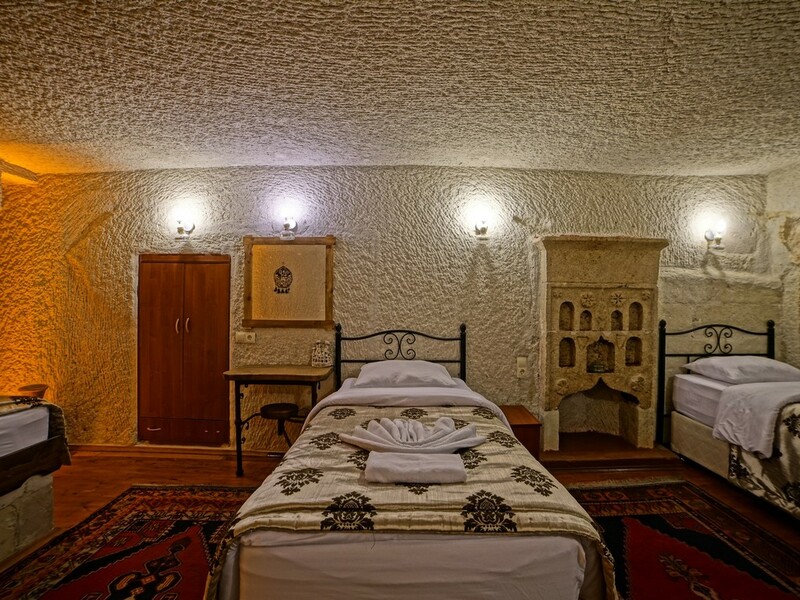 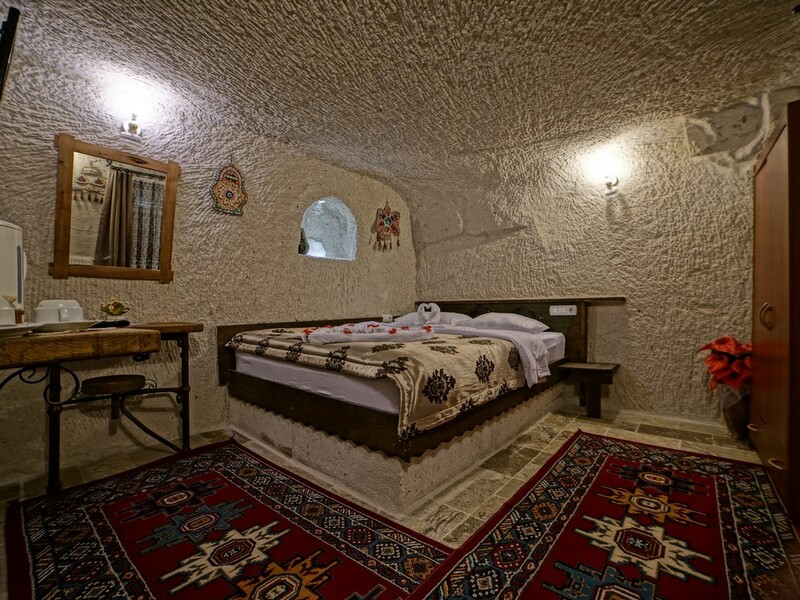 Situated in the center of historic Goreme, surrounded by fairy chimneys, Melek Cave Hotel offers a warm atmosphere and cozy cave rooms with free wireless internet access and breakfast included.Each of the rooms at Melek Cave is carved out of the rocks and is individually decorated. 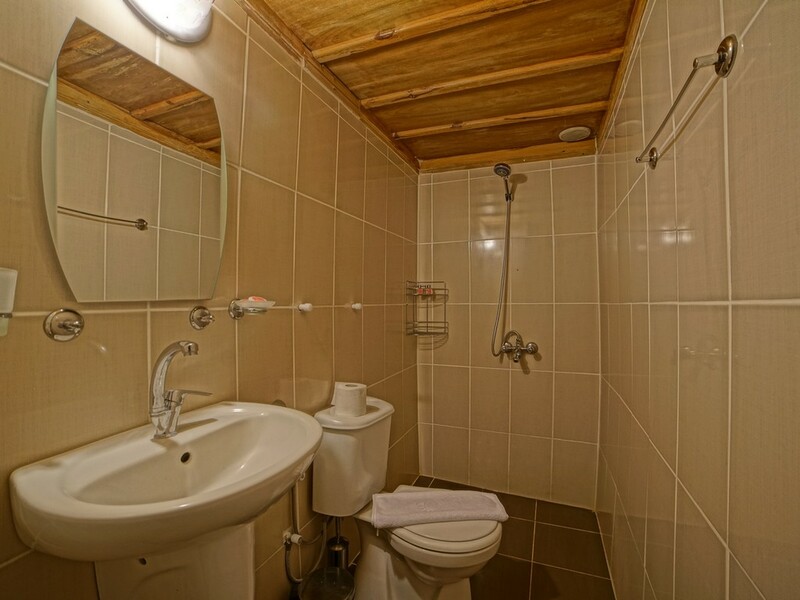 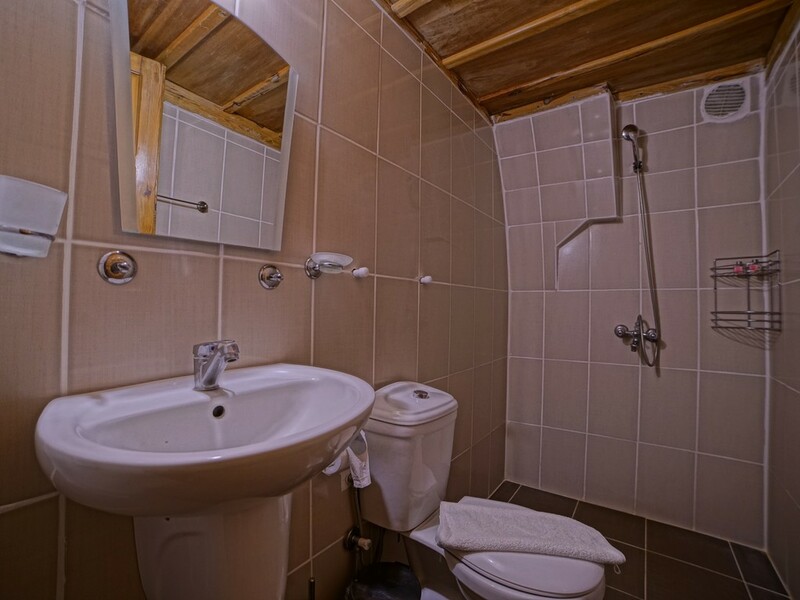 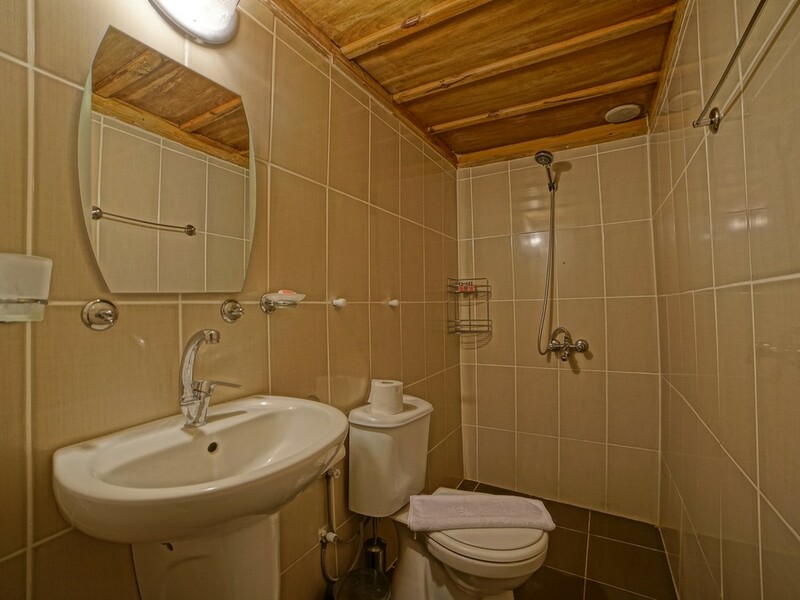 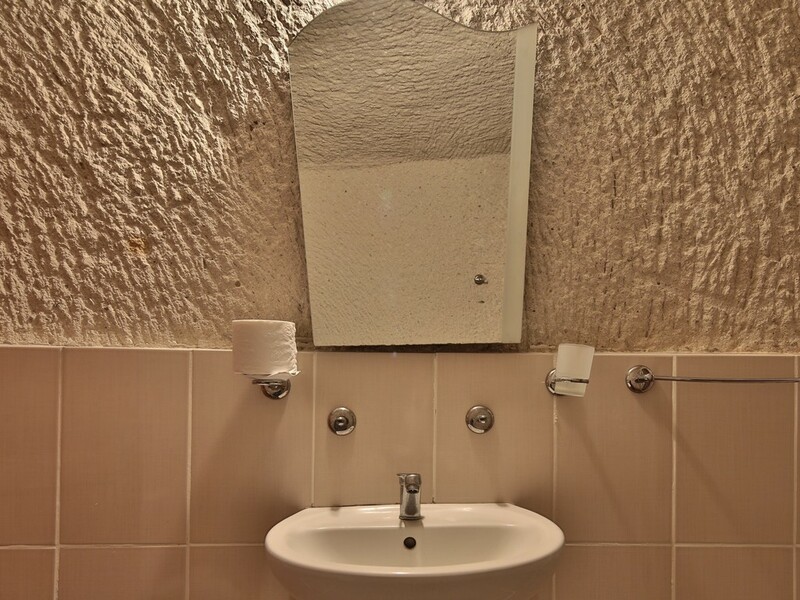 You can enjoy clean and modern bathroom facilities and TV.Every morning, a complimentary breakfast is served on Melek Hotel's lovely rooftop terrace. 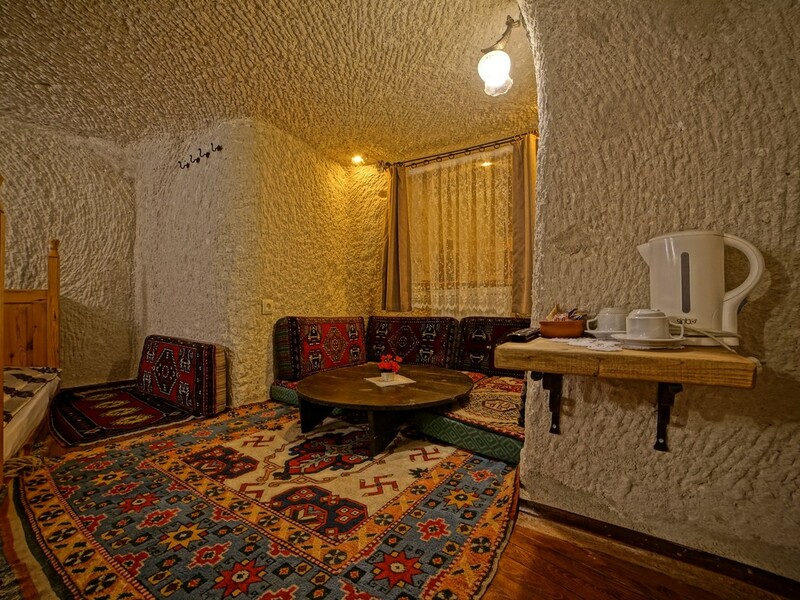 The communal lounge also offers a cozy place to relax and share stories with other guests.The friendly owners are happy to share their great local knowledge, so you can enjoy a unique, personalized service. 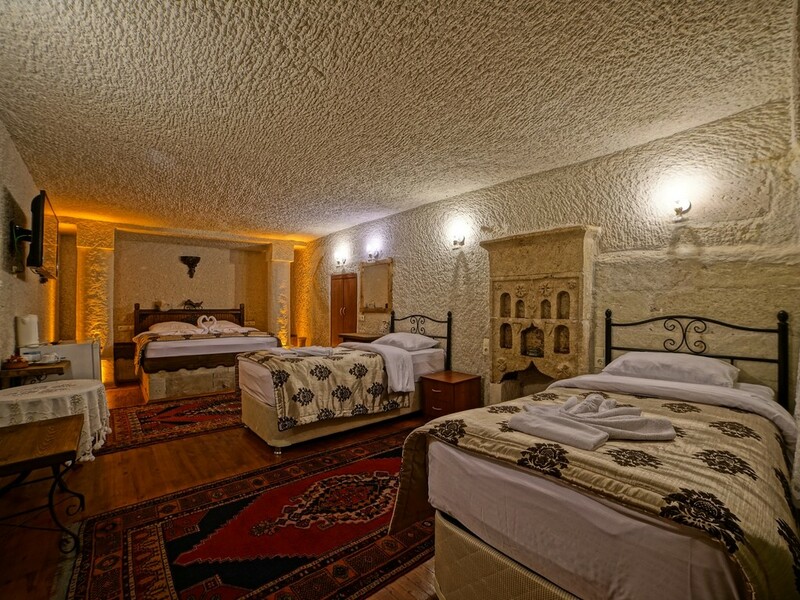 A free transfer from the bus station is also available.Arrange a hot air balloon ride through Melek Hotel. 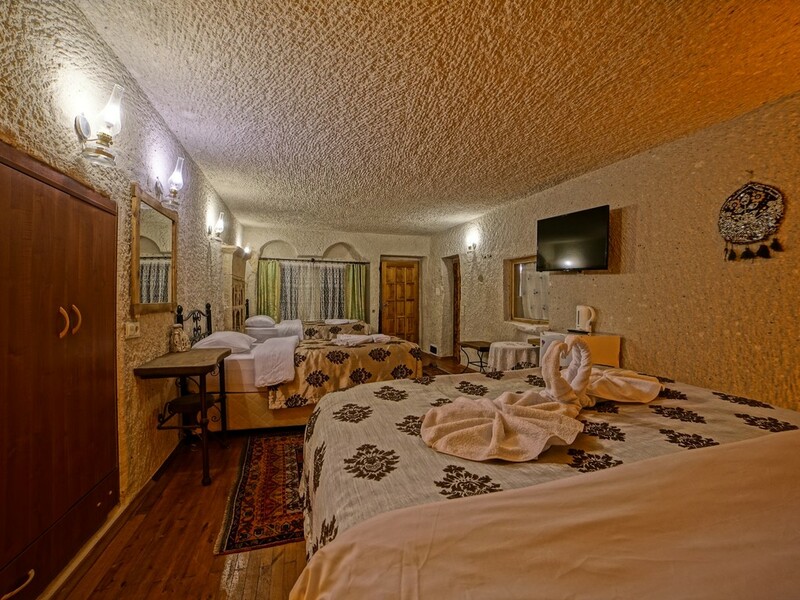 Explore the region by bike or rent a car through the hotel. 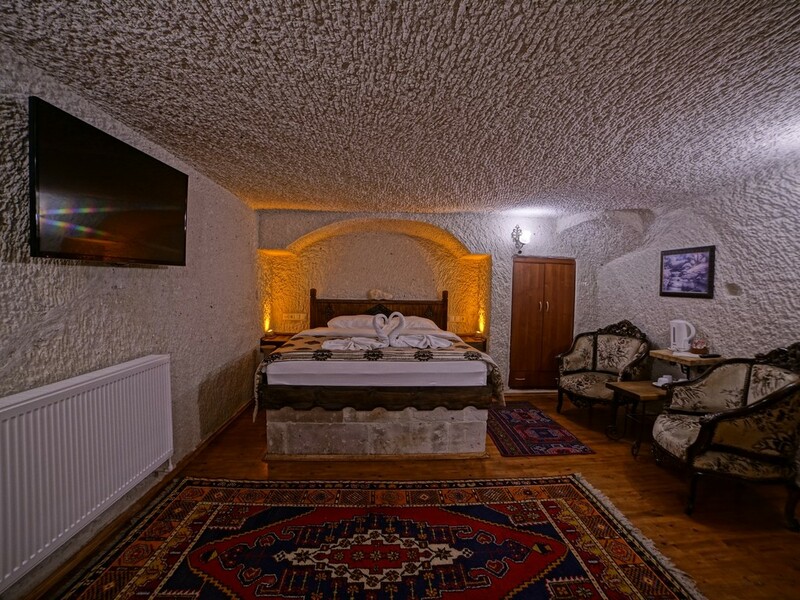 Take a short walk to Goreme's Open Air Museum.After an action-packed day, relax back in Melek Cave Hotel's garden and enjoy a drink of your choice.